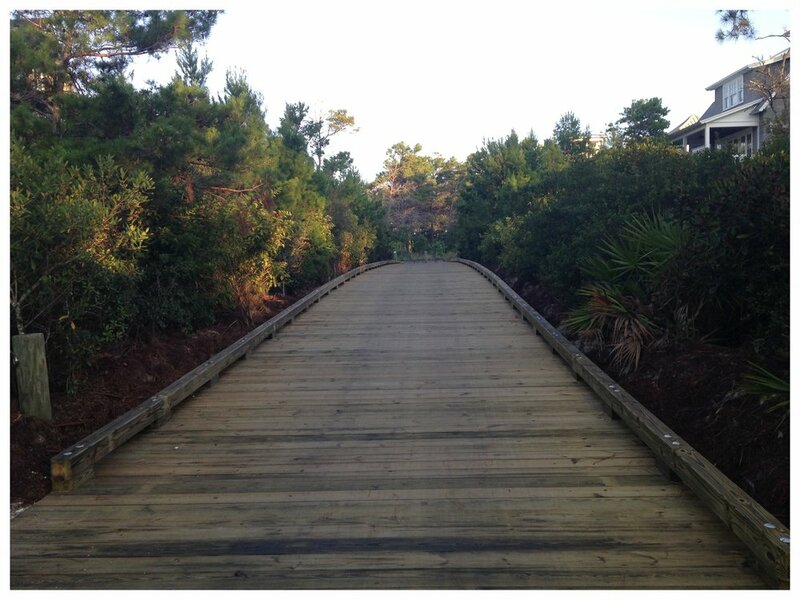 Backwoods Bridges specializes in the design and construction of custom timber boardwalks. 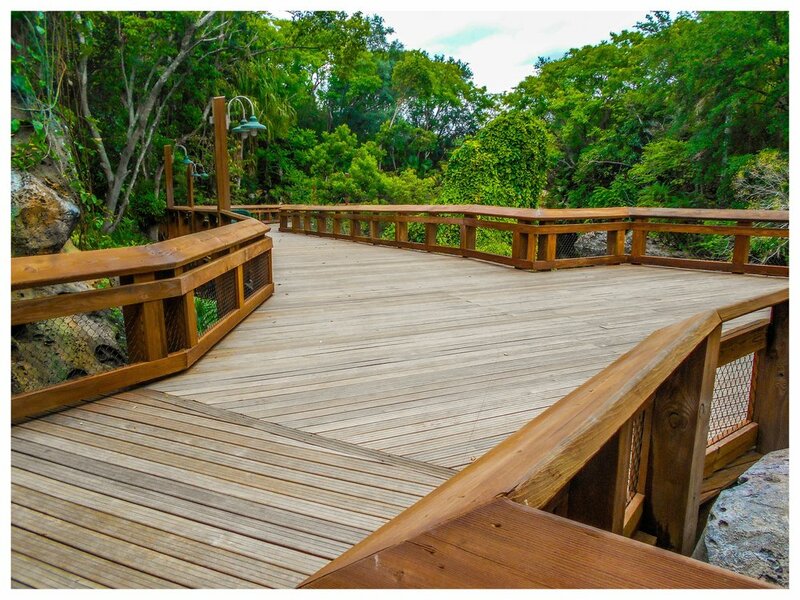 Backwoods Bridges Boardwalk and Deck Building Division utilizes top-down construction methods which allow us to build elevated boardwalks, bridges and decks without any heavy equipment every touching the ground. 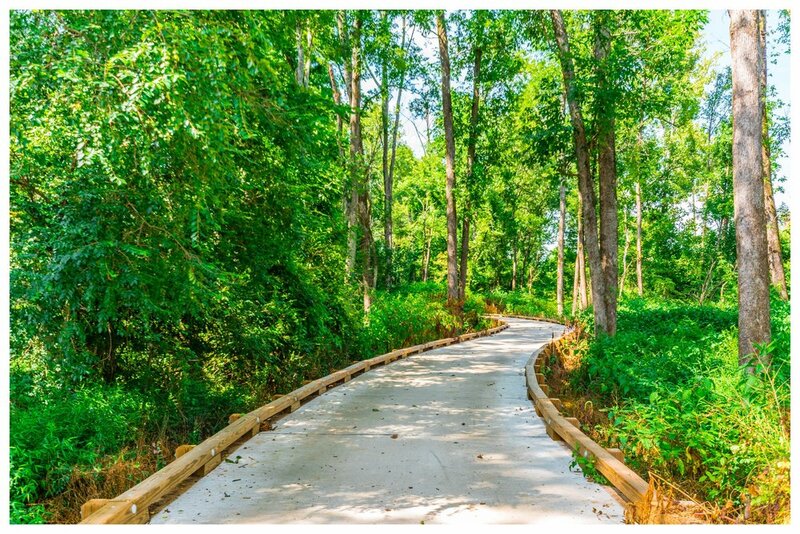 This process greatly reduces the disturbance to the natural environment while making it possible to build in areas that are difficult to access, such as wetlands. 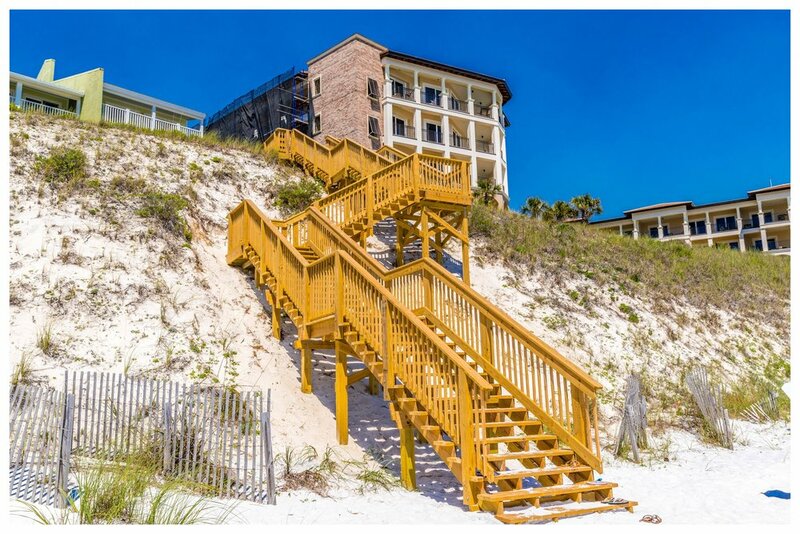 This method of construction eliminates most access issues, enables the structure to be built quickly and leaves behind a beautiful and long lasting structure. 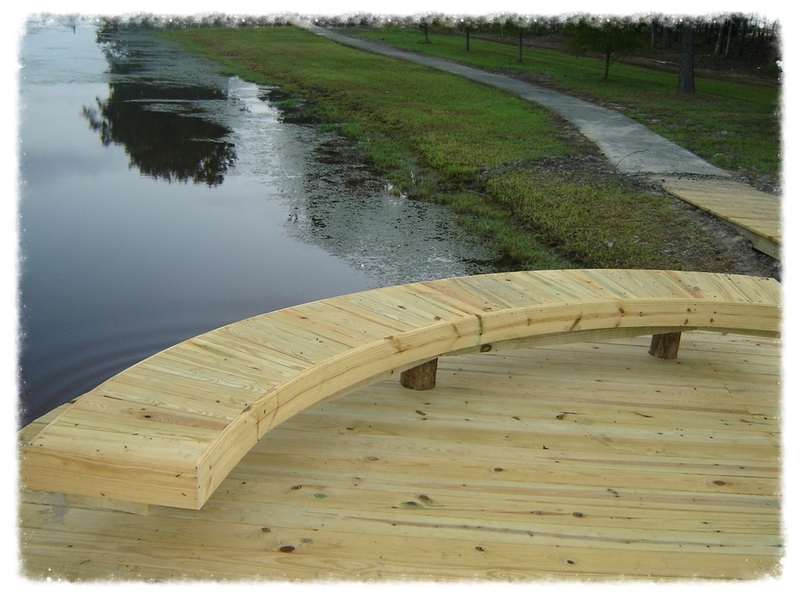 Backwoods Bridges experience with this method is what makes us uniquely equipped to design and construct residential and commercial boardwalks, beach accesses,dune crossings, boardwalks and walkways for use in nature trails and parks, lake and river accesses and boardwalks as well as decks, wooden docks and piers. 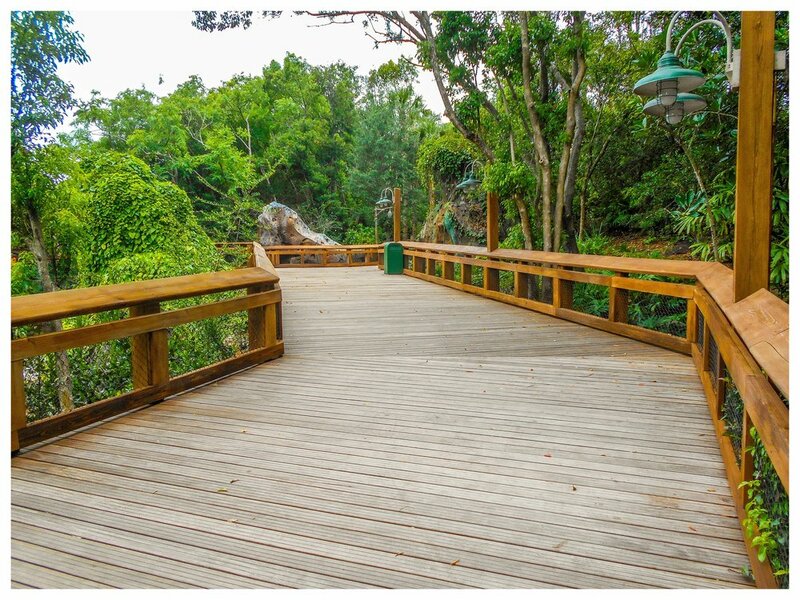 Timber Bridge and Pedestrian Boardwalk. 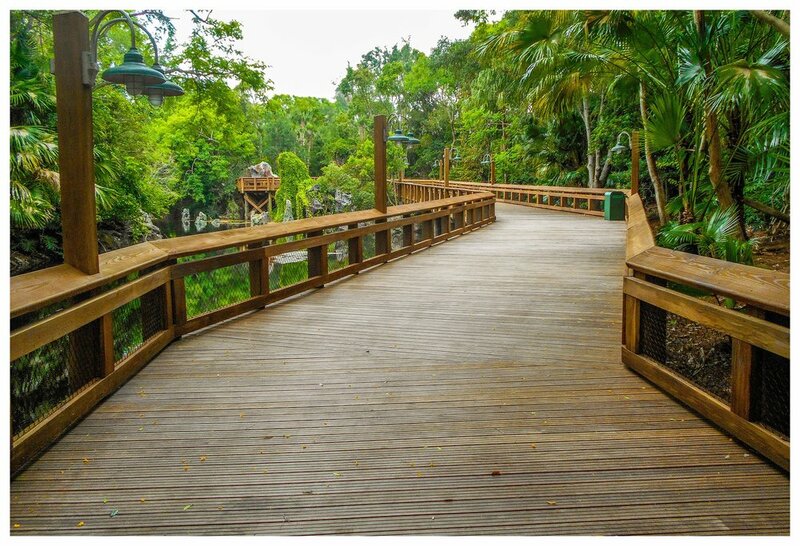 Backwoods Bridges had the honor of building the timber bridge and boardwalk that connects Walt Disney Worlds Animal Kingdom to their newest attraction Pandora The World of Avatar. 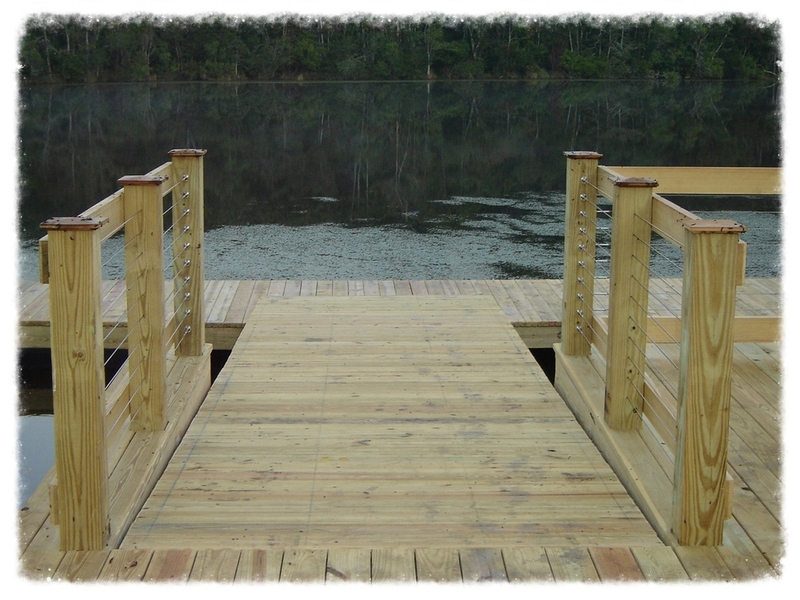 Custom Timber Boardwalk & Handrails. 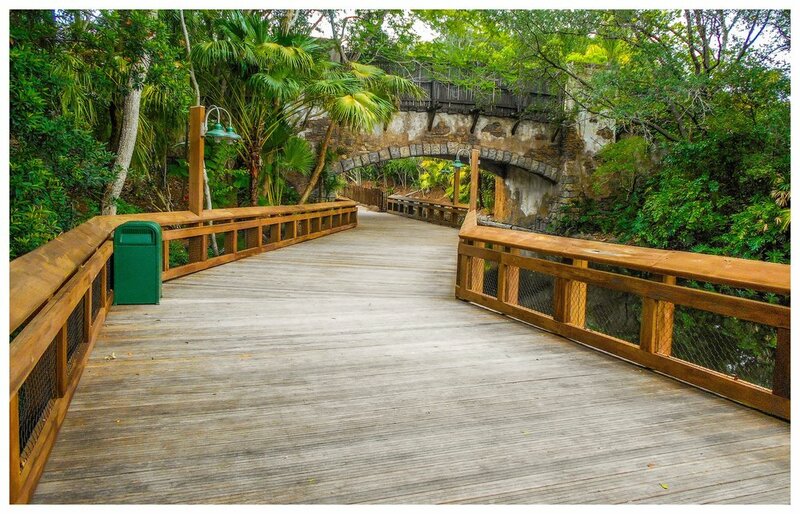 Backwoods Bridges and DH Griffin Construction, in a joint-venture agreement, tackled this large project at the Polynesian Resort in Orlando, FL. 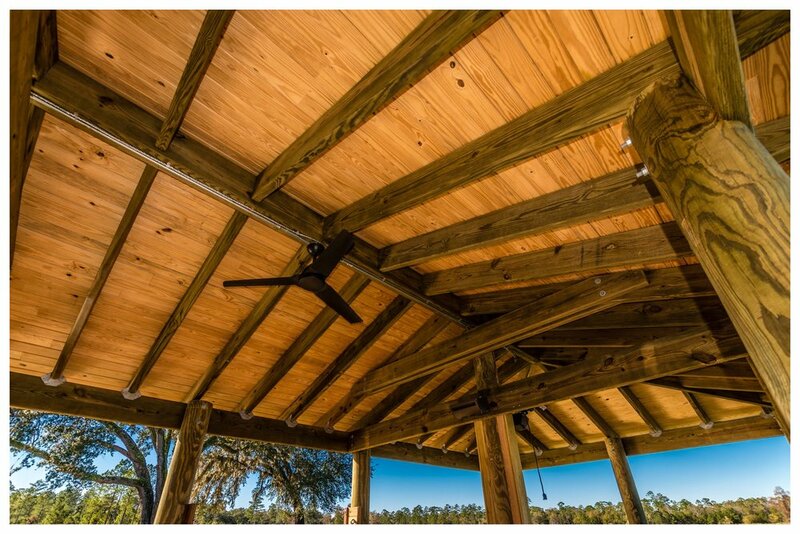 Along with 1,880 LF of 10’ wide access boardwalk, the two companies put their collective heads together and designed the foundations of (20) 1,800 SF “bungalows” using a hybrid timber/precast concrete structure. 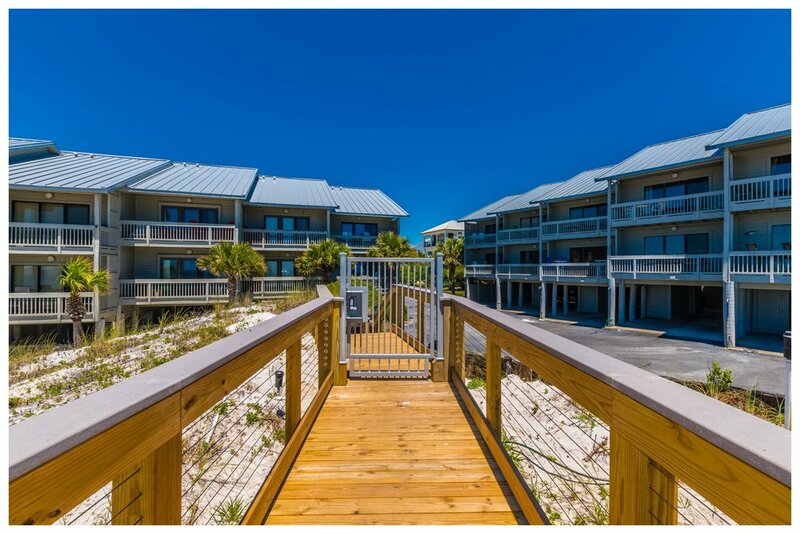 The hybrid design saved the owner $400,000 in material and construction costs over traditional concrete marine construction means and methods. 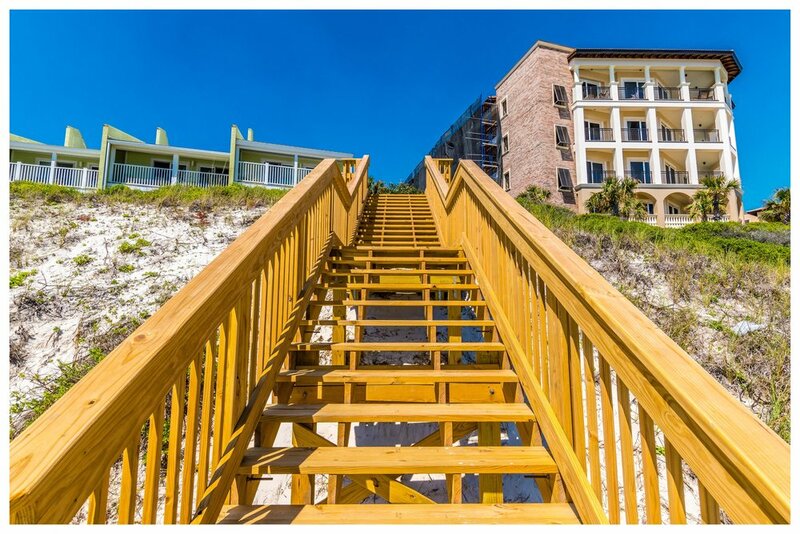 The use of smaller, more nimble equipment accelerated the construction timeline and reduced the machinery footprint of the construction site. 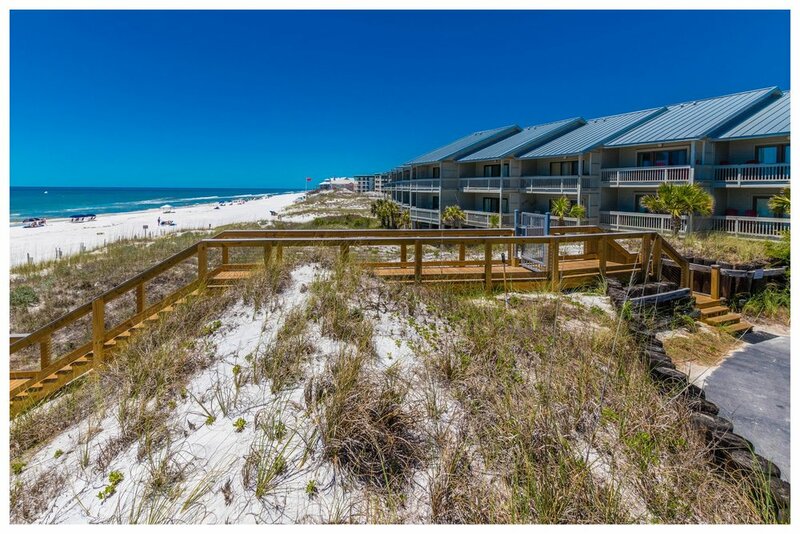 Private Beach Access and Boardwalk. 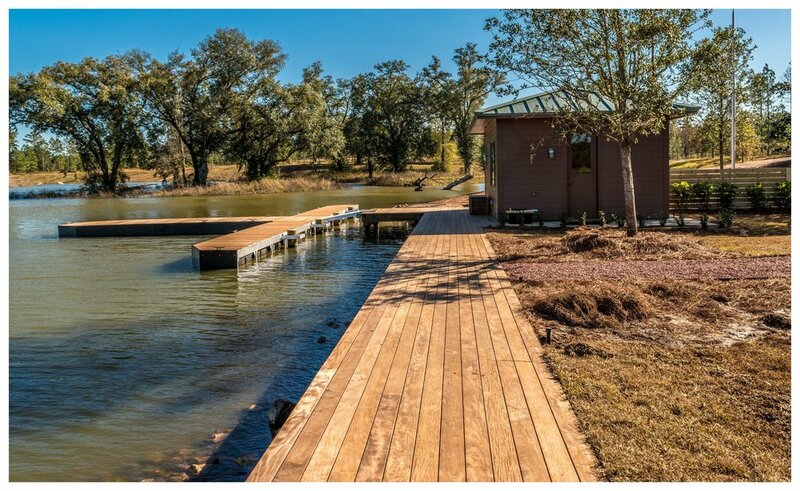 Custom built Boathouse and Boardwalk with Floating Dock System. 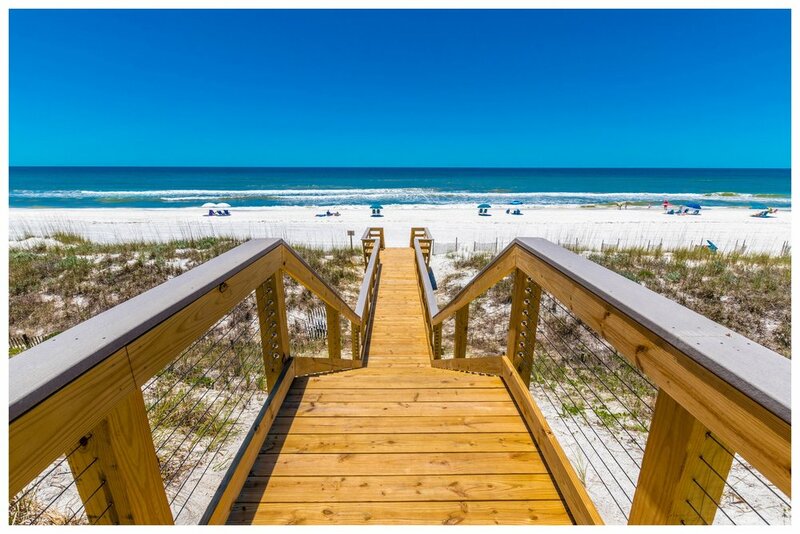 Wooden Boardwalk with Private Beach Access. 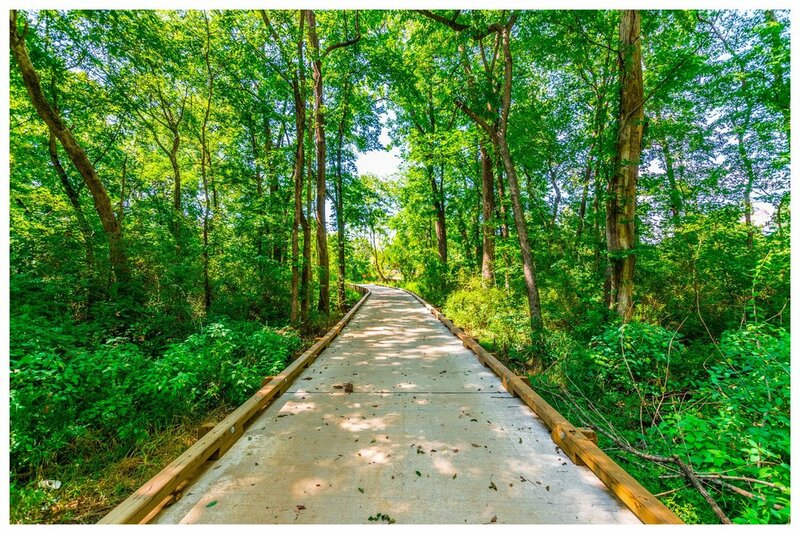 The Carolina Arbors are one of the fastest growing and most beautiful communities in the Durham, North Carolina area. 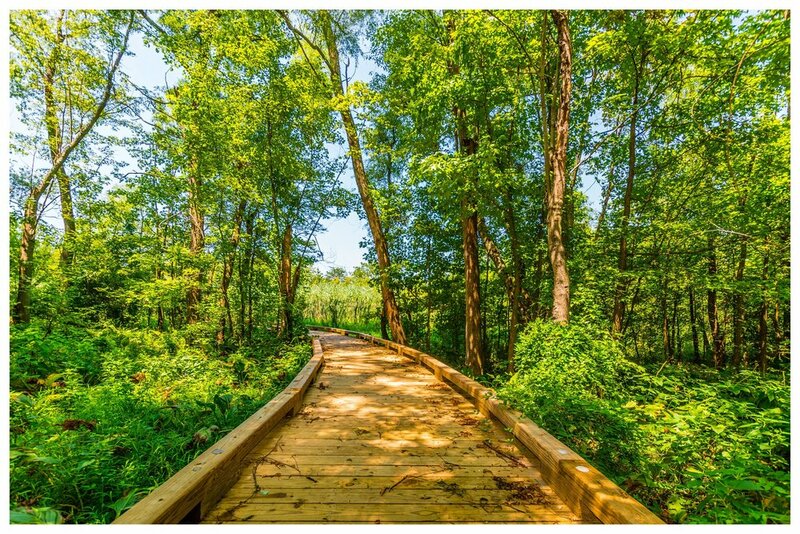 Backwoods Bridges was tasked with designing and constructing a series of wooden boardwalks and bridges for the community nature trail. 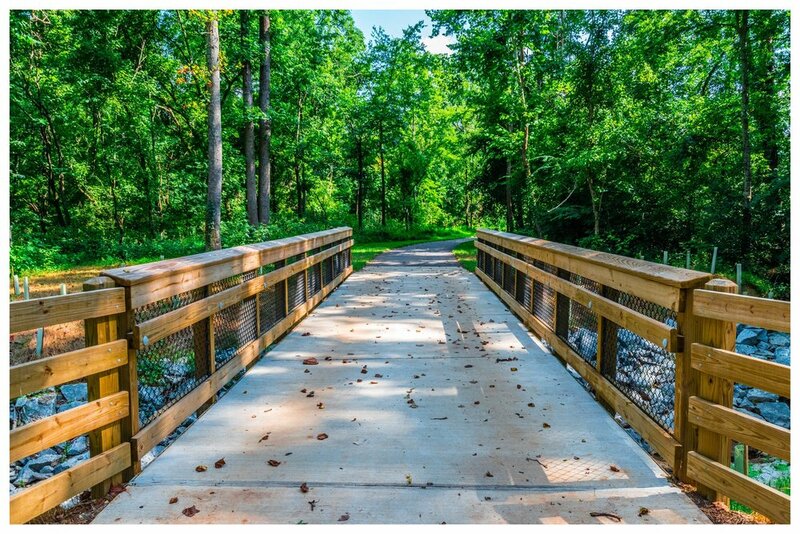 Backwoods Bridges designed and built two wooden boardwalks complete with benches, handrails and curbing that span the length of the nature trail located within the beautiful subdivision of Lyndam Hills, VA. 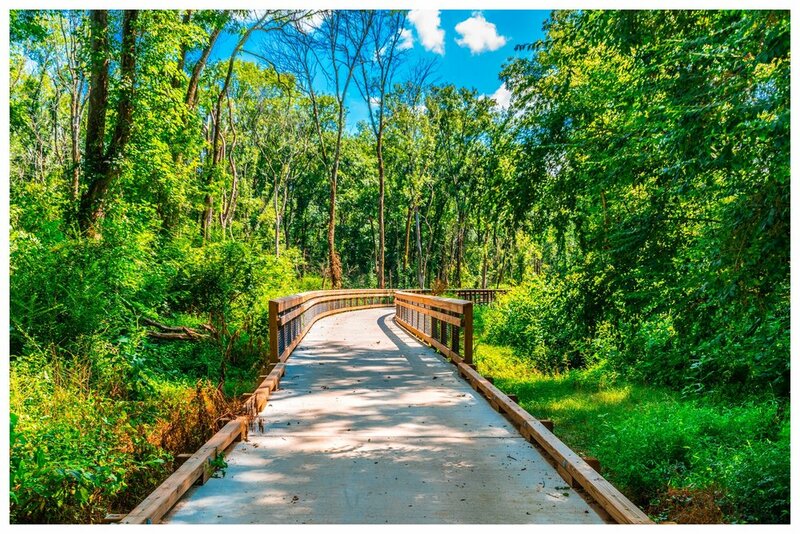 The Toby Creek Greenway trail links the existing Mallard Creek Greenway to the UNC Charlotte campus and shopping areas. 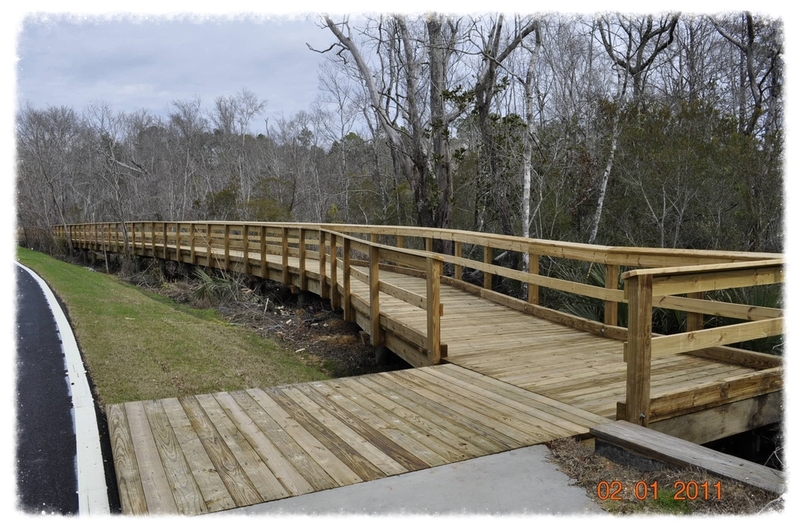 Backwoods Bridges was contracted to design and construct a paved nature trail boardwalk as well as two custom timber bridges. 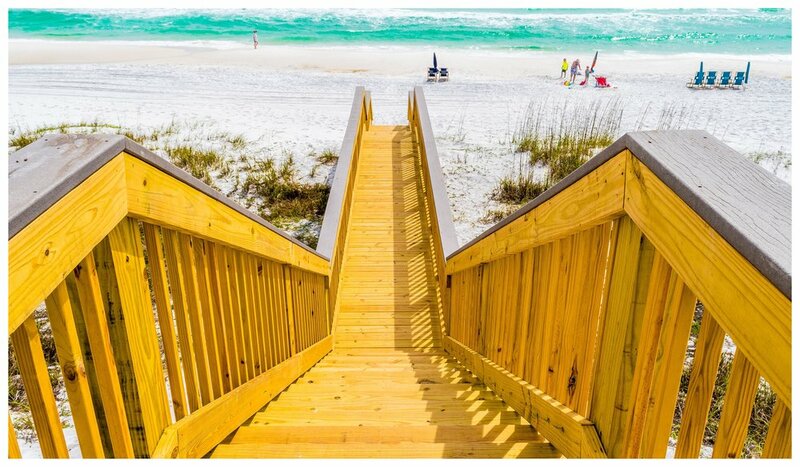 Pedestrian Boardwalk with Private Beach Staircase. 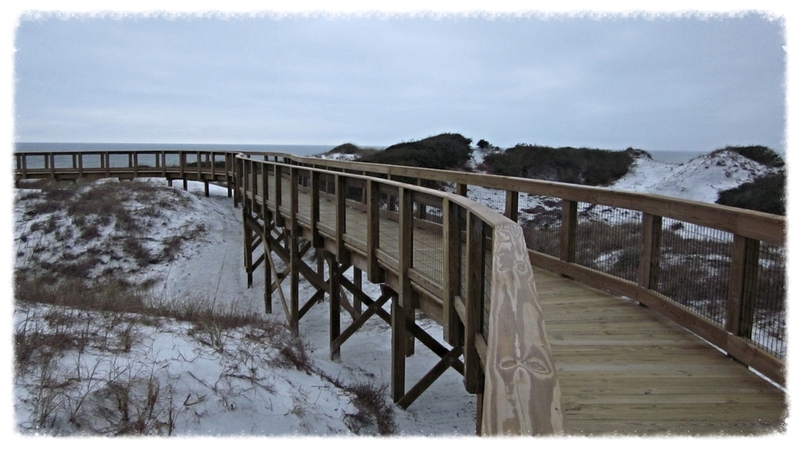 Timber Boardwalk and Dune Crossing. 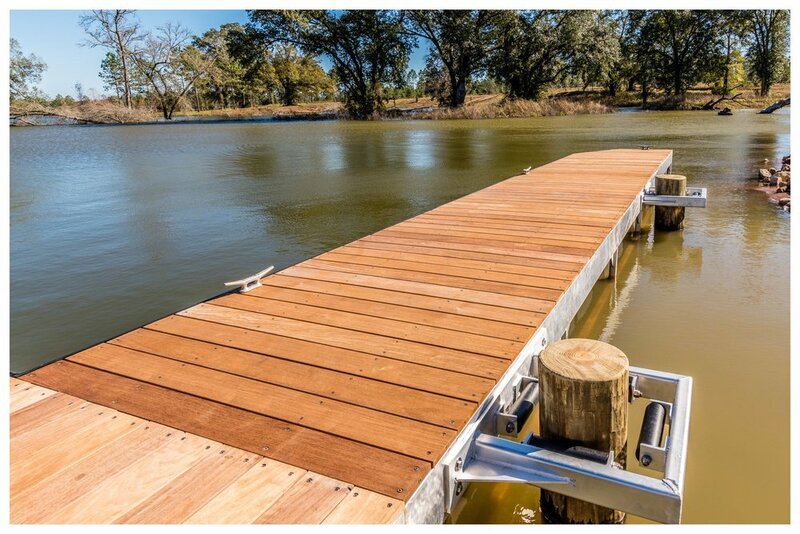 Timber Boardwalk and Boat Dock . 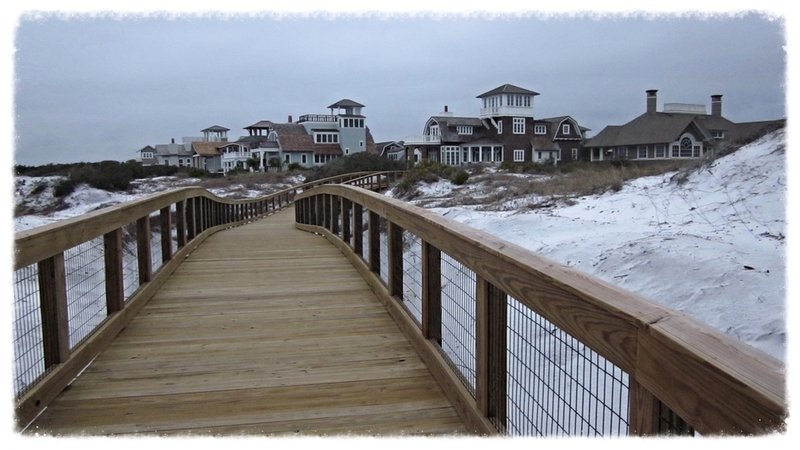 Boardwalk & Dune Crossing with Beach Access. 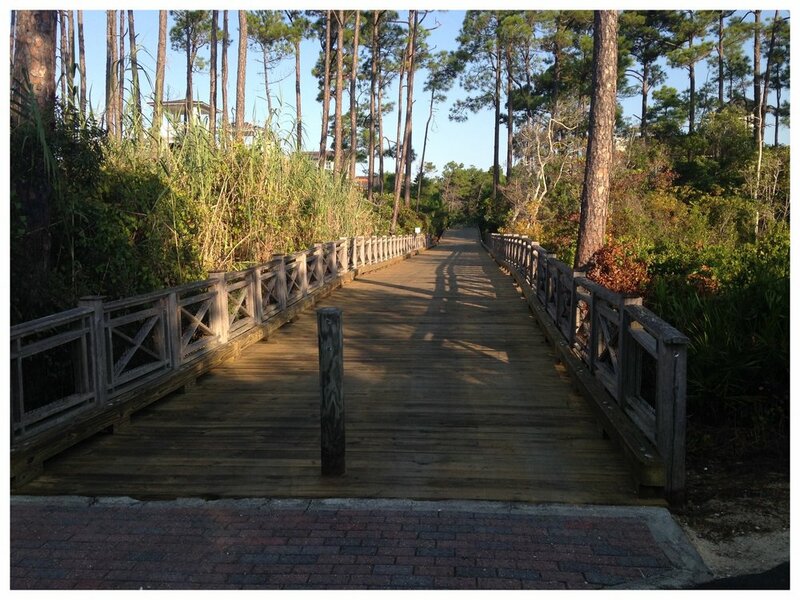 Backwoods Bridges was contracted to oversee the rehabilitation of the decking and handrails of the boardwalk and beach accesses located in the Coastal Village of Watersound, Florida. 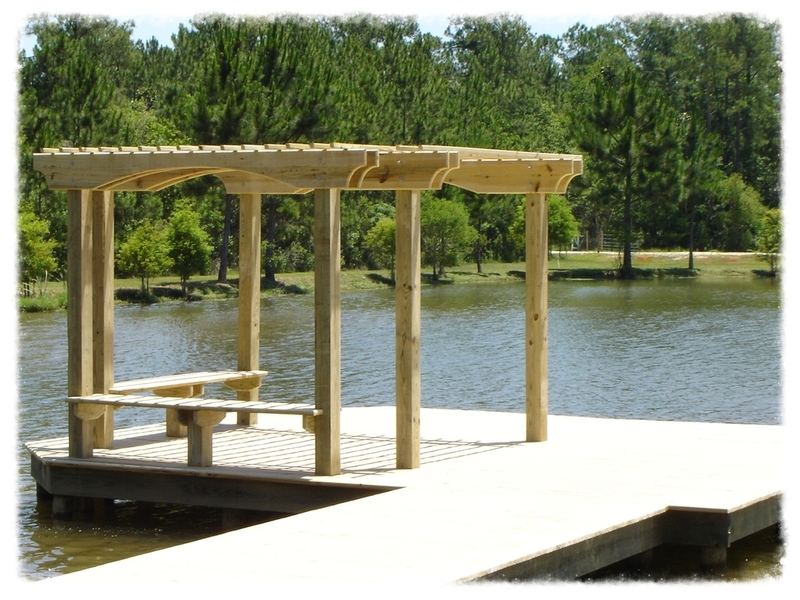 Boardwalk with Covered Pavilion & Decorative Pergolas. 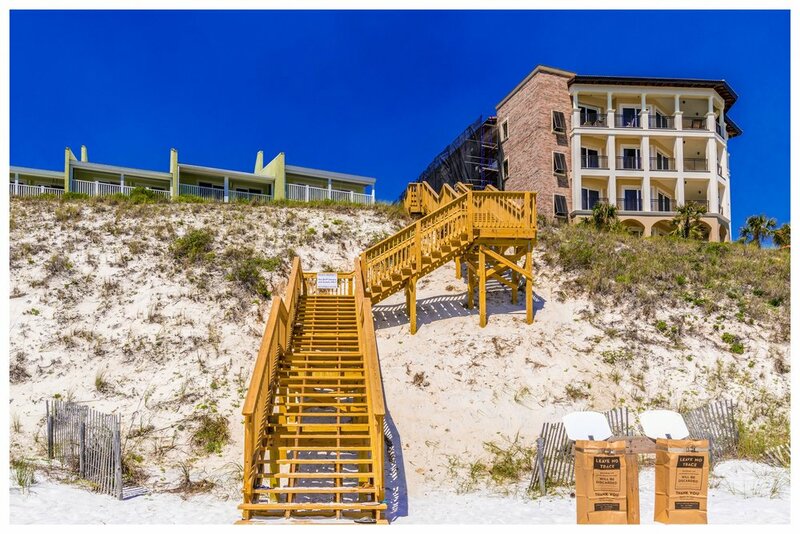 restrooms, outdoor showers, and parking areas. 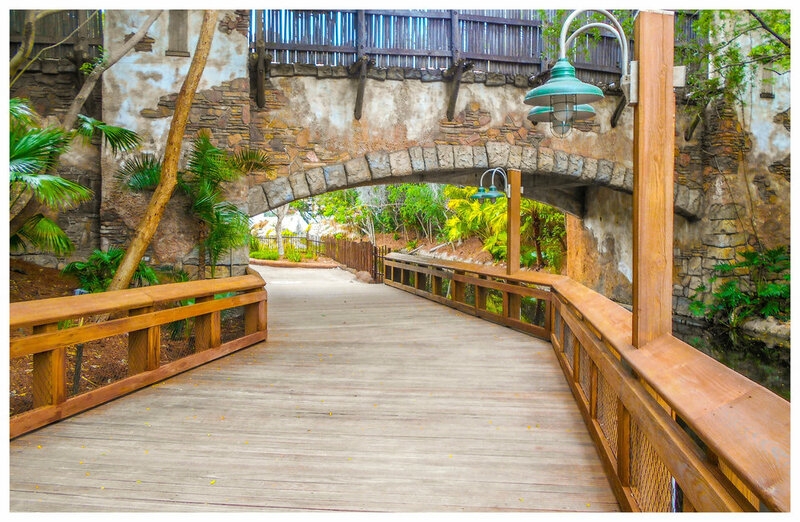 Bridges. 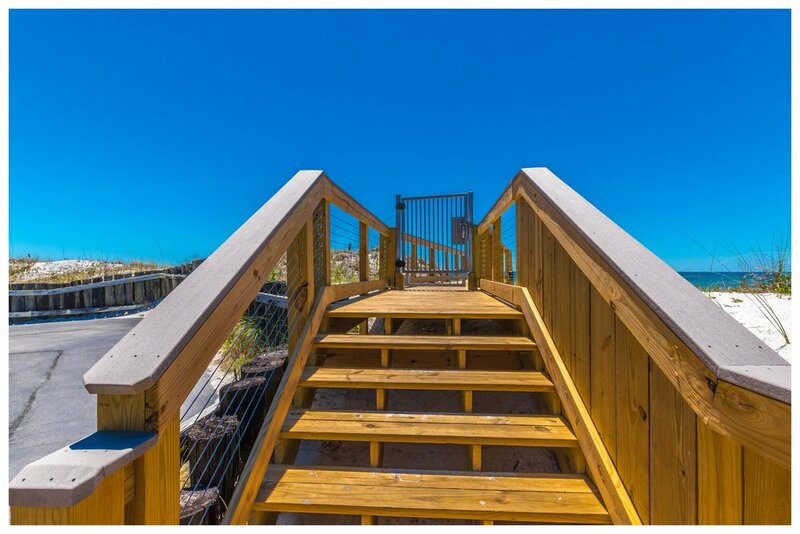 They include 560 linear feet of winding boardwalk, two 20x10 observation decks, and a 20x30 covered picnic pavilion. 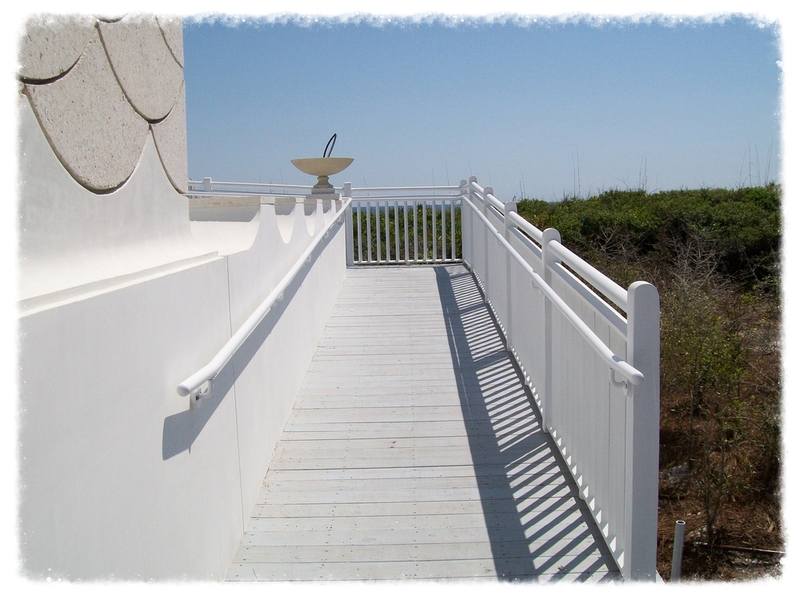 The observation decks also include decorative pergolas. 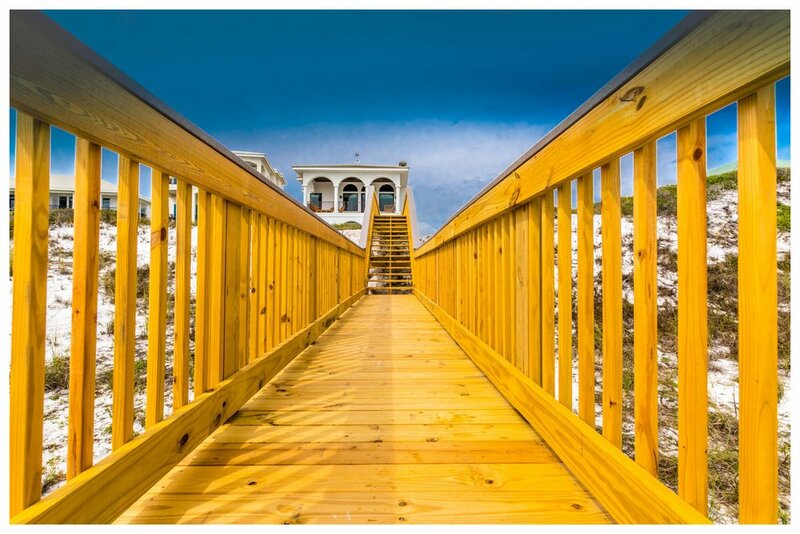 Hightower Beach is home to several gopher-tortoise holes which had to be protected. 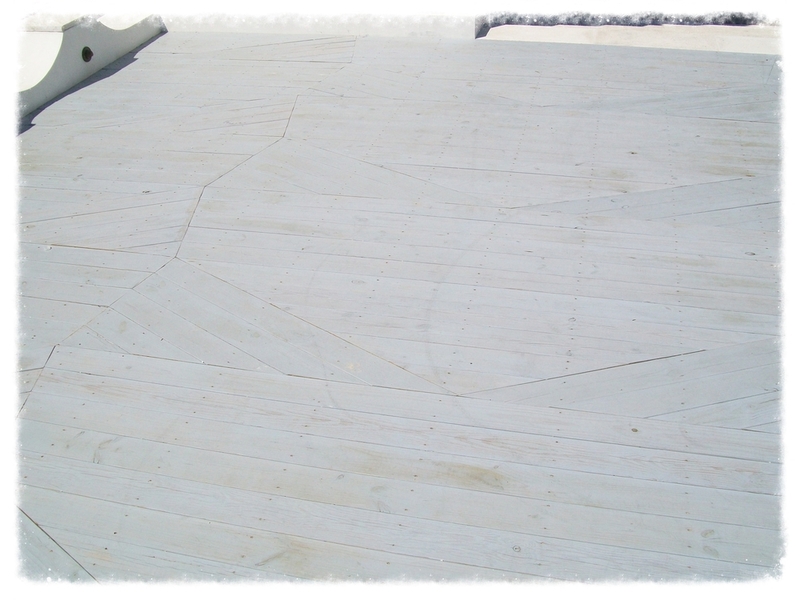 Due to this, the boardwalk structure was re-designed in order to use top-down construction. 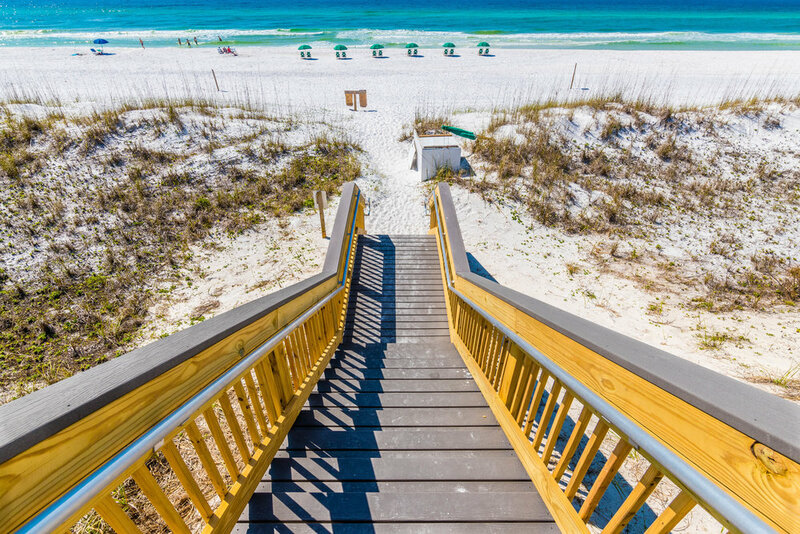 This construction method would lessen the impact on the beach and the local wildlife by keeping the heavy equipment used for pile-driving off of the beach. 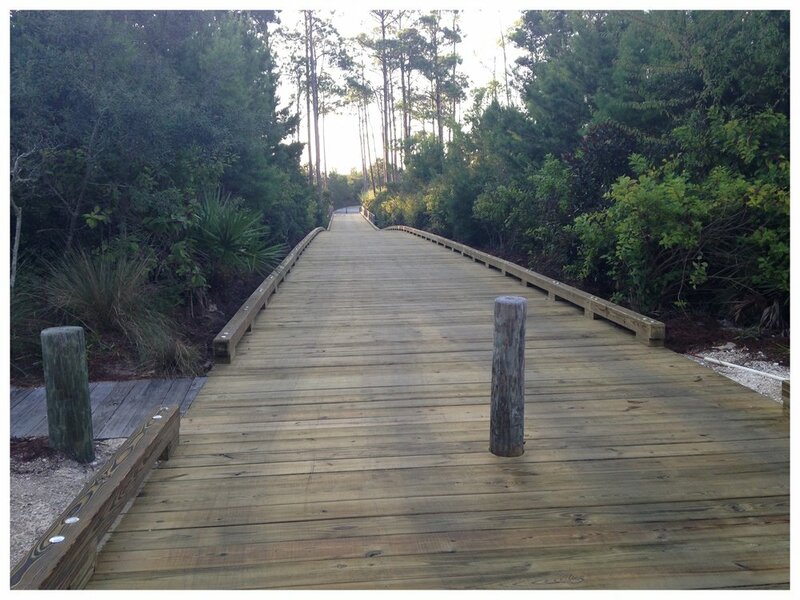 Nature Trail Boardwalk & Recreational Bridge. 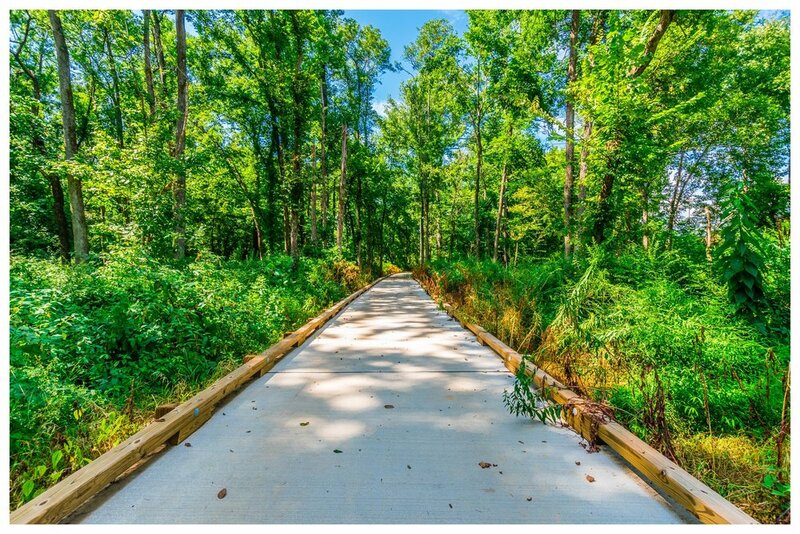 This project is for the boardwalk and bridge construction on the Spur Trail to Future Upper Chesapeake Rail Trail at the Tuckahoe State Park in Queen Anne, Maryland. 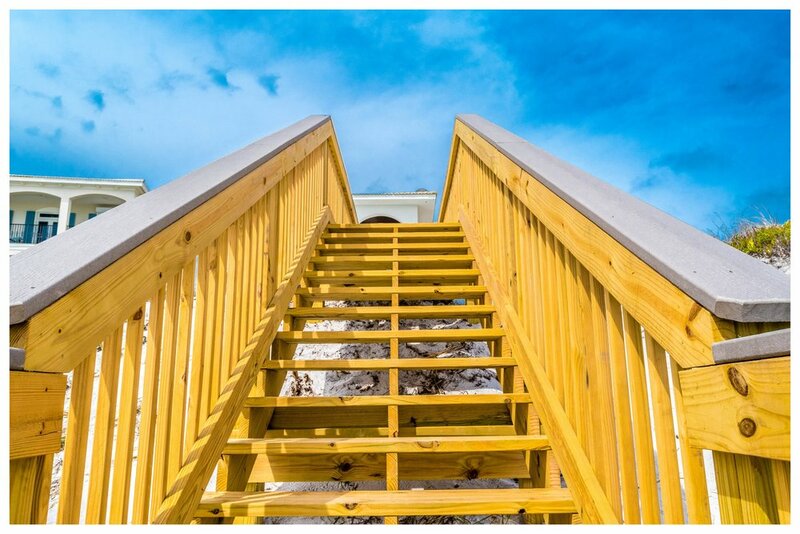 Beach Boardwalk with Wheelchair Accessible Ramp. 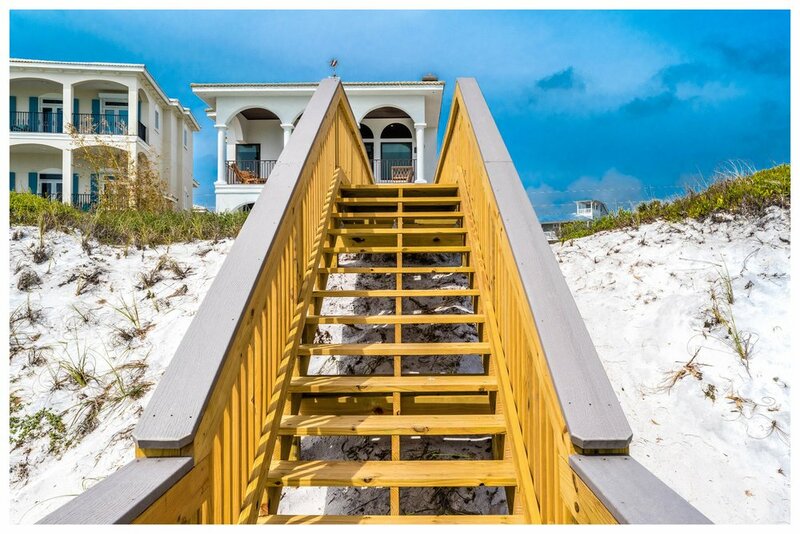 900 SF deck with105' X 5' wheelchair accessible ramp located in beautiful Alys Beach, FL. 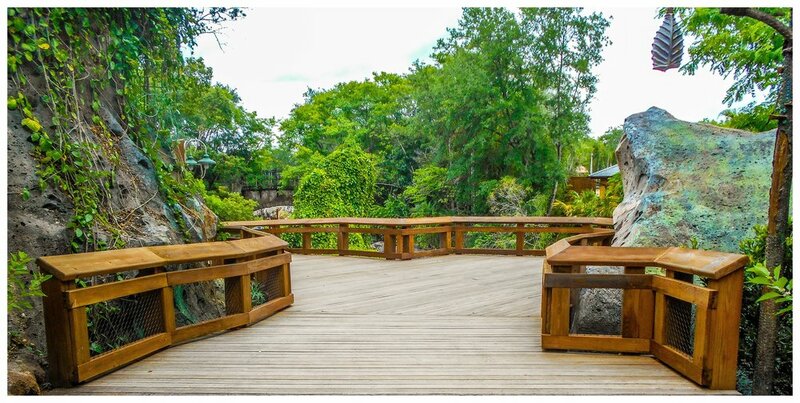 Pedestrian Walkway & Timber Bridge. 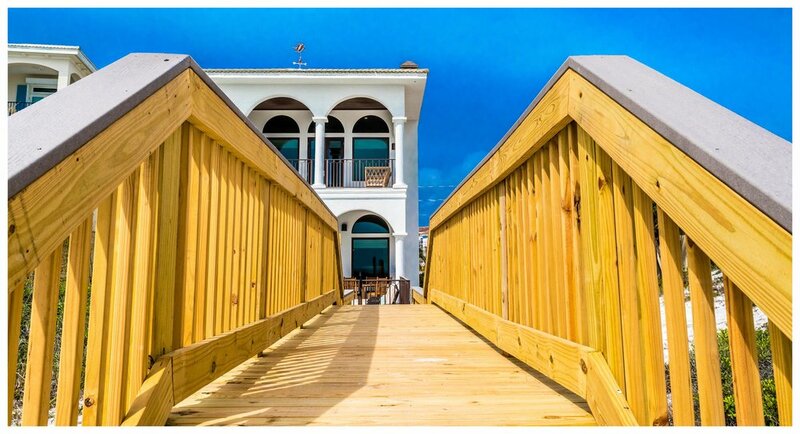 450 LF of 8’ Wide Top-Down Boardwalk with Handrail, 28' x 35' Timber Bridge Deck with Guardrail and Wing Walls and 100 LF Timber Guardrail. 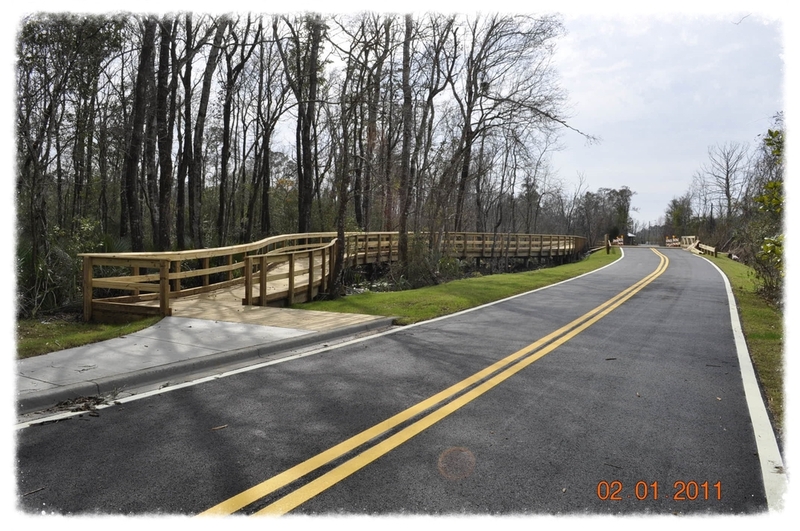 The Shipyard Road project was a much-needed improvement to enable access to a point where Four-mile Creek and LaFayette Creek merged. 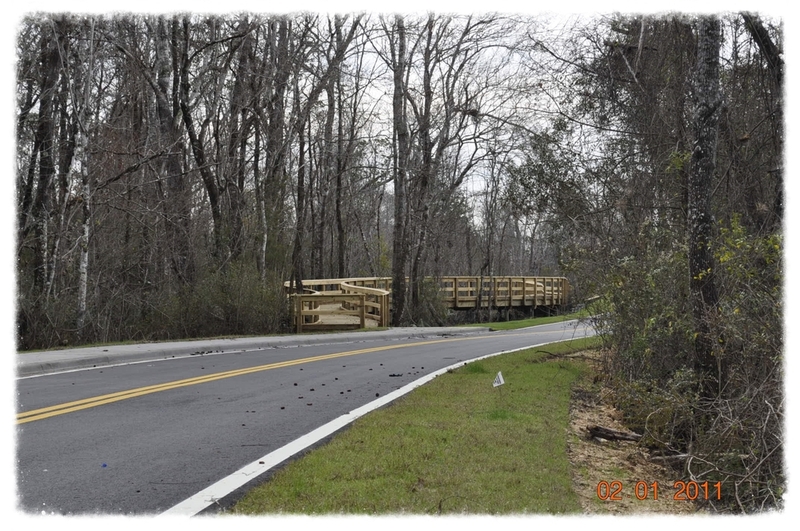 The two creeks then lead to LaGrange Bayou and then head out into the Choctawhatchee Bay. 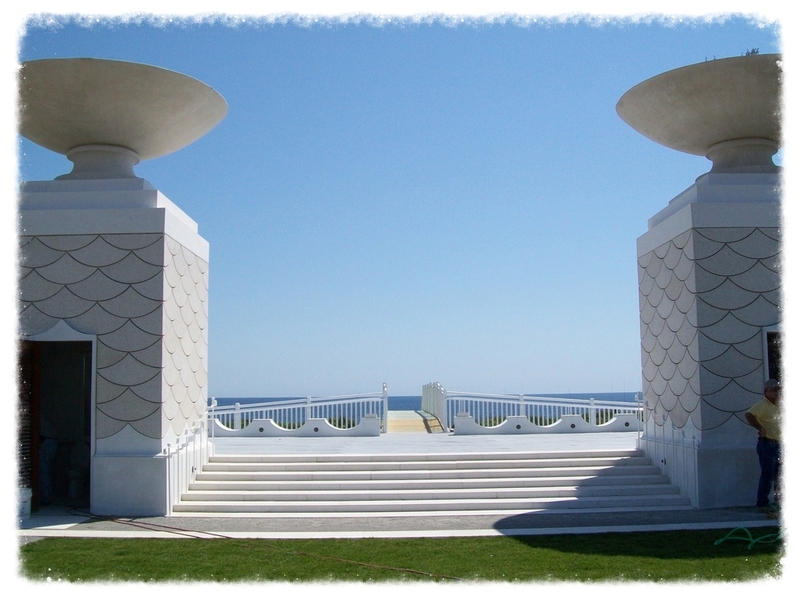 The location was a port during the Civil War era. The area is now dominated by the Freeport Shipbuilding Company and Murphy Oil. 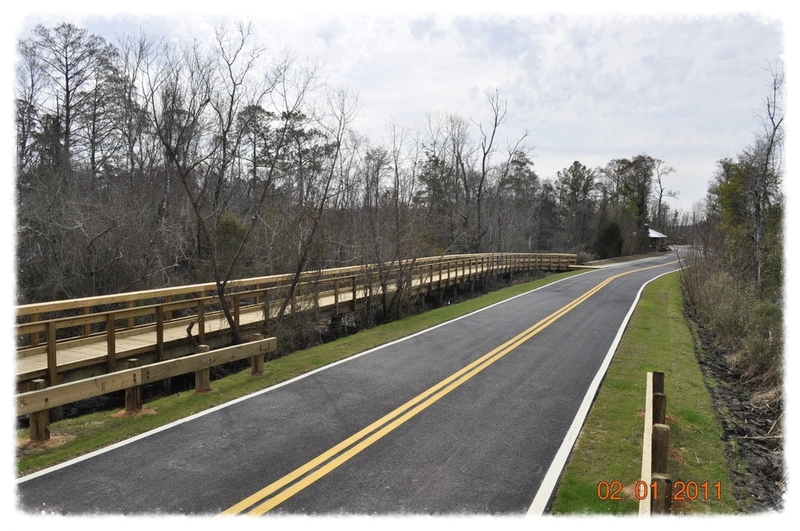 The old gravel road was replaced with a new asphalt-paved road and sidewalk improvements to access an existing boat ramp, dock and fishing area. 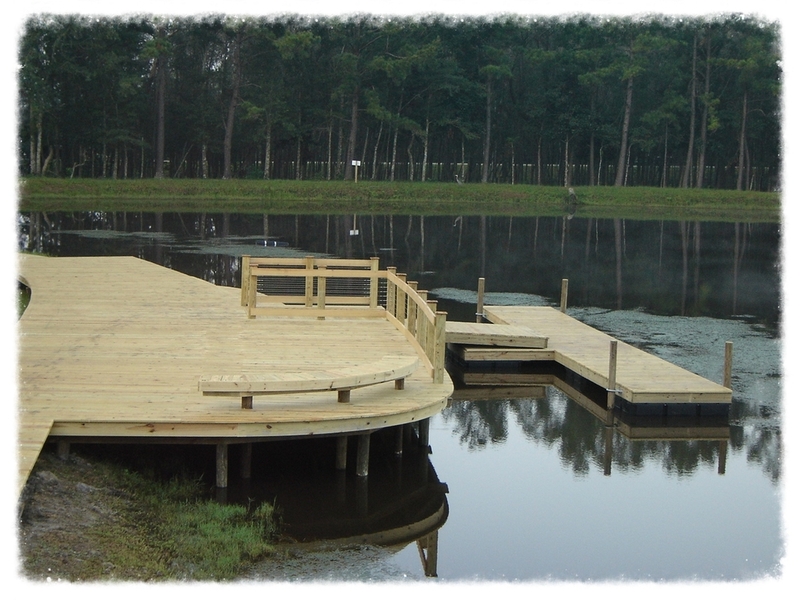 Boardwalk with Floating T-Dock & Fishing Pier. 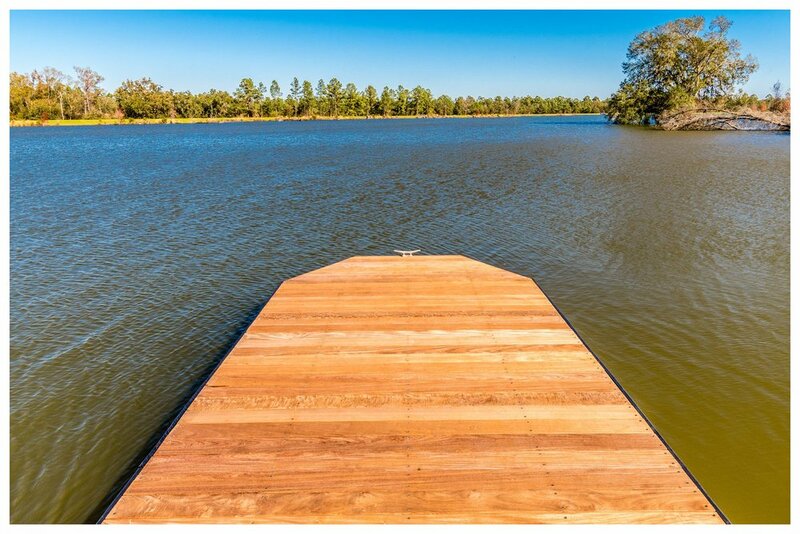 400' x 6' Boardwalk, 2,250 SF canoe launch with floating T-dock, 700' x 4' on-grade boardwalk with three 400 SF docks with shade trellis and benches. 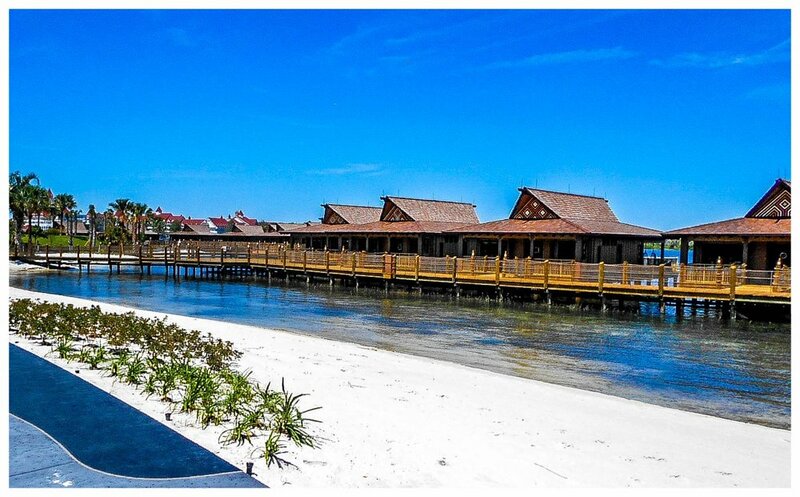 The town of Salt-Aire is a master planned community on the western shore of Mobile Bay. 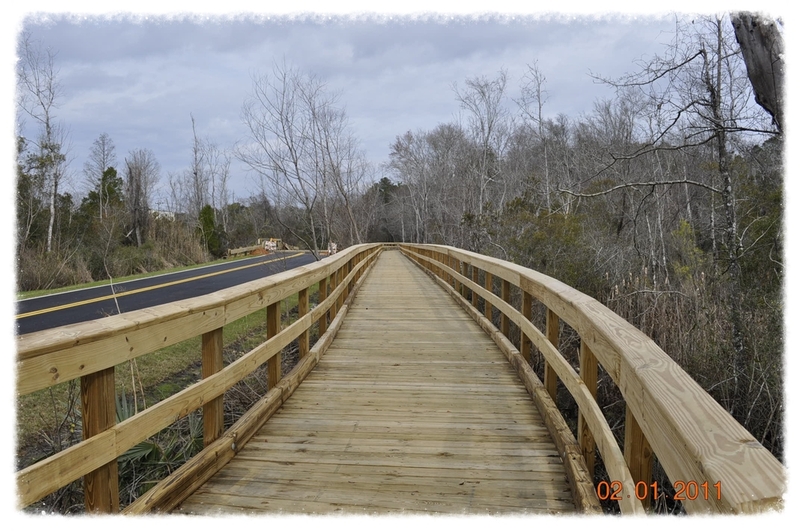 Backwoods Bridges was contracted to put in several timber structures on the project. 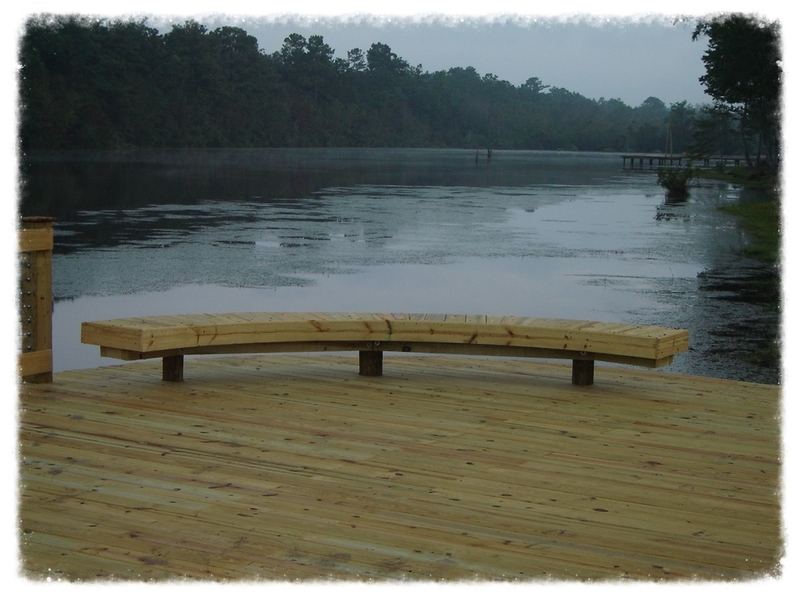 On Logan Lake, two small docks with a shade trellis and benches were built. 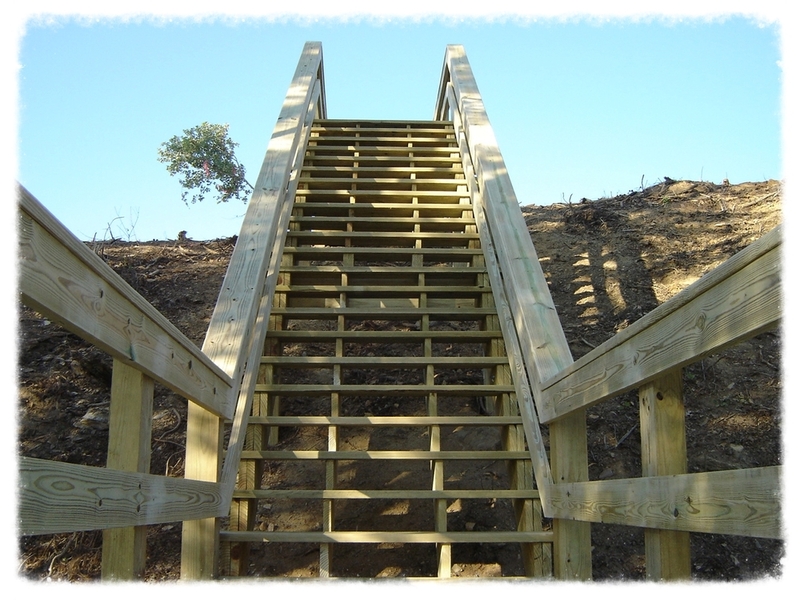 The Bear Lake area has a large viewing platform with a gangway leading to a floating canoe launch dock. 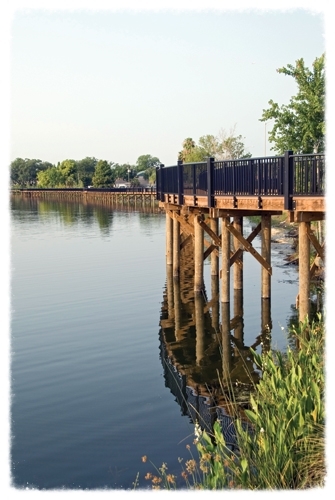 A multi-use path around the lake is dotted with bridges in the wetland areas with the guardrail infill consisting of stainless steel cable. 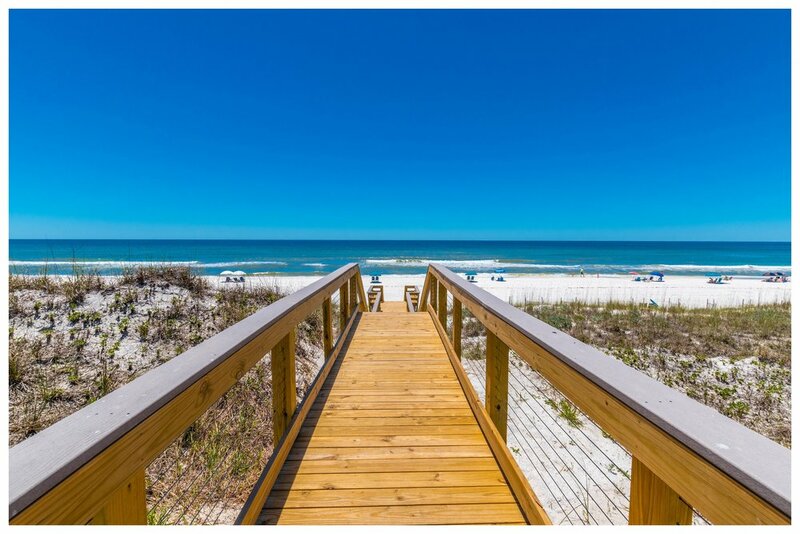 Located on a beautiful tract of land, Salt-Aire will feature single and multi-family homes, shopping, entertainment and a marina. 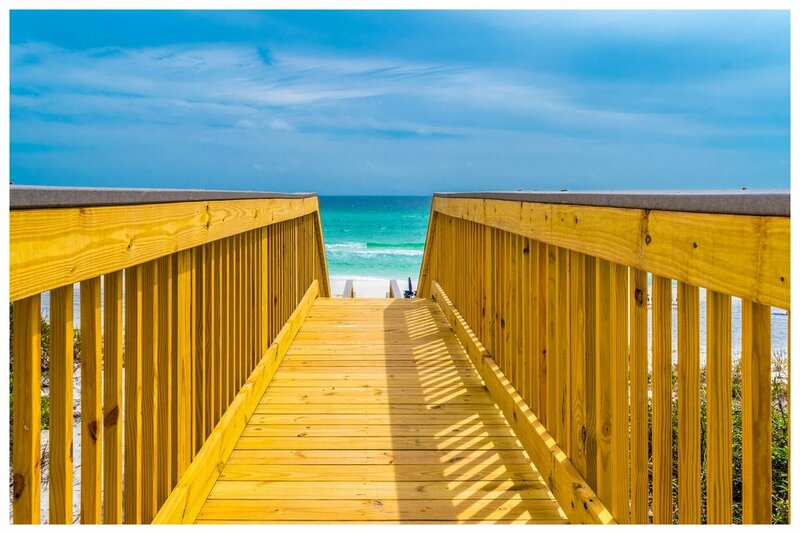 8' wide, 1400 linear feet top down boardwalk. 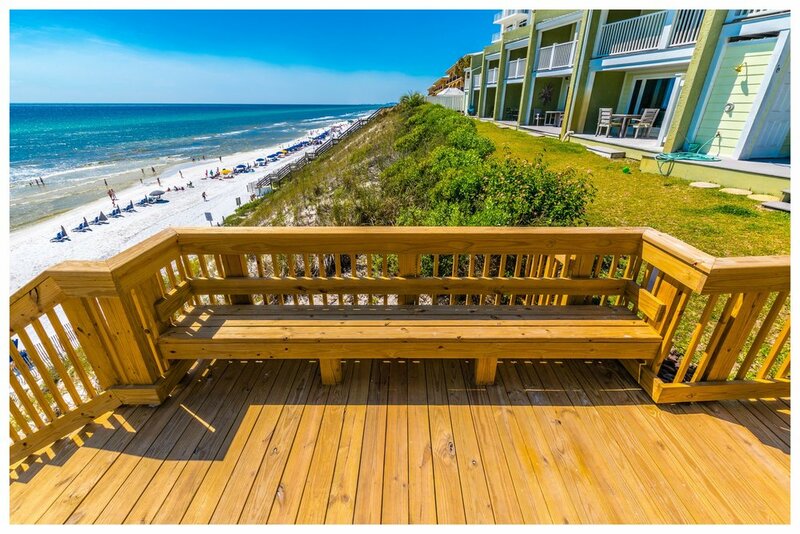 Phase 1: 1,200’ x 6’ 5-Ton Top-Down Boardwalk with Handrail / Phase 2: 1,600 LF 6’ Wide Top-Down Boardwalk with Handrail. 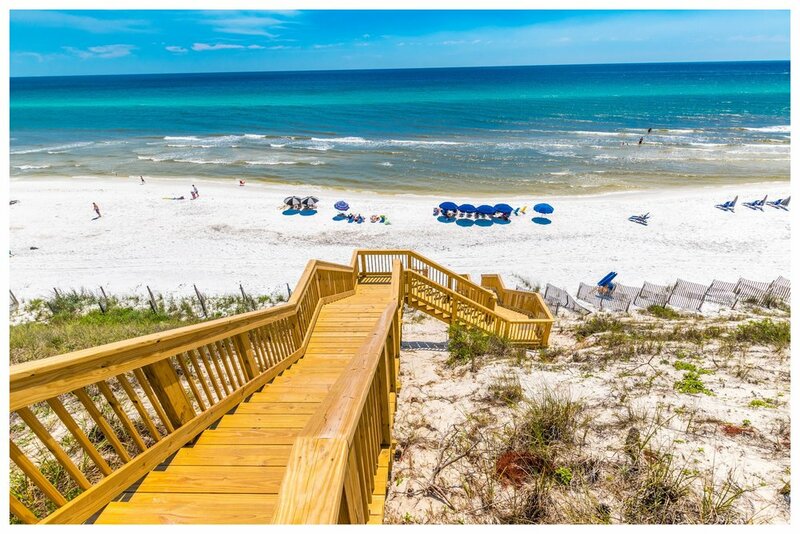 Indian River County filters millions of gallons of well water through a reverse osmosis process. 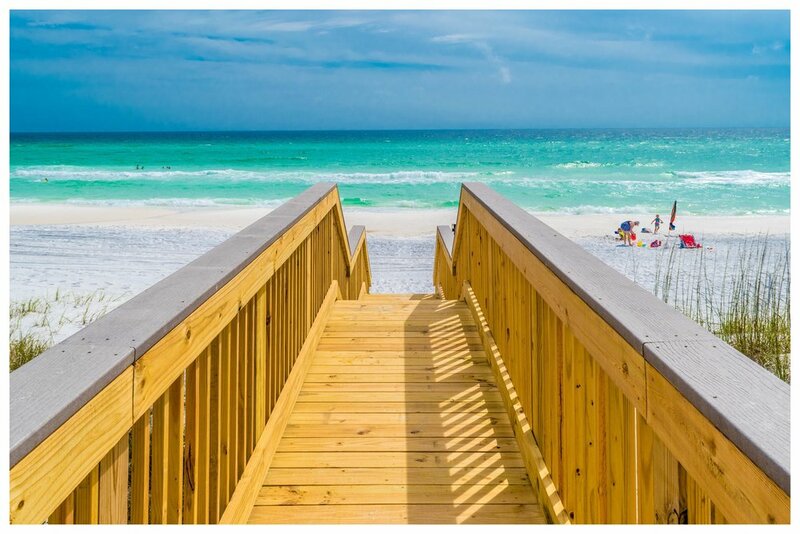 The salts and impurities that resulted are known as “brinewater”. 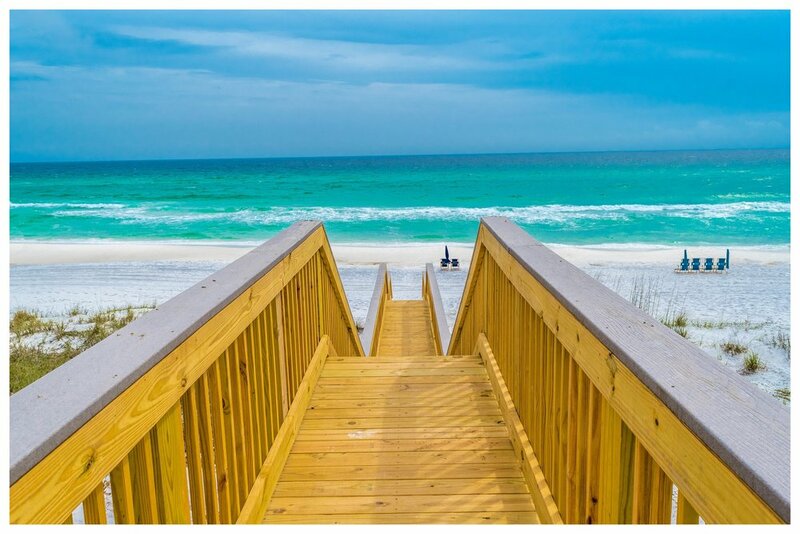 For years, brinewater was disposed of by dumping it straight into the Indian River Lagoon. 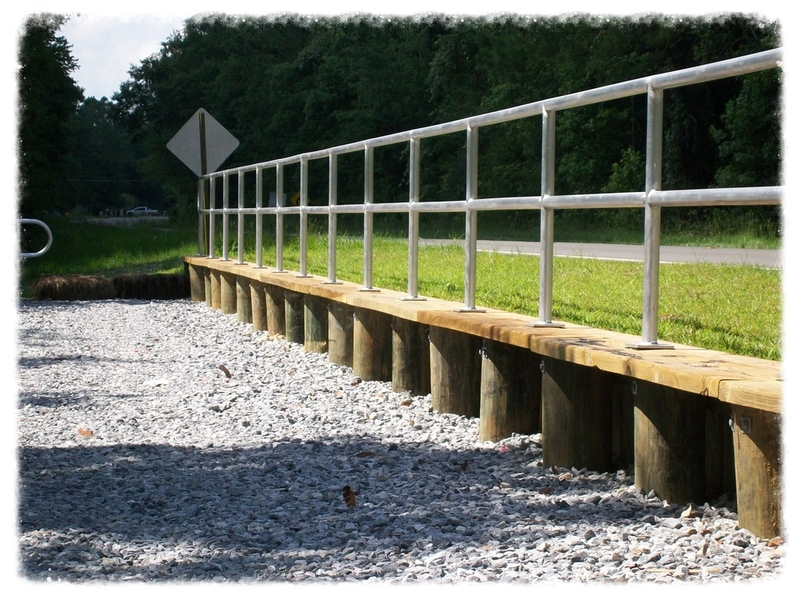 The Spoonbill Marsh Facility is a solution to this problem. 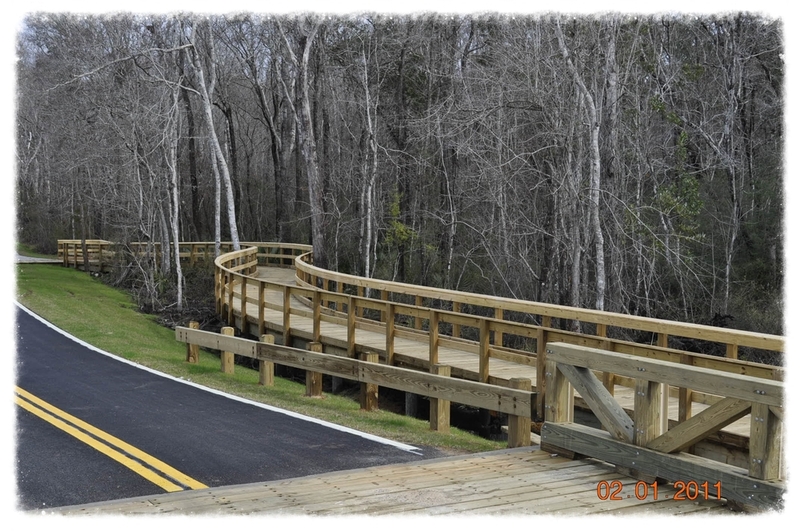 The four million dollar project treats brinewater by filtering it through twenty-two acres of sedimentation ponds. 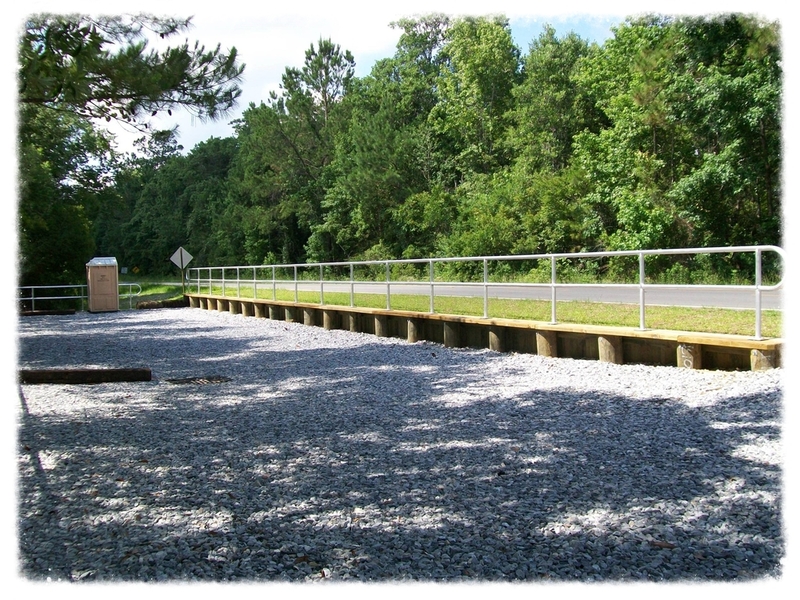 Here the waste water is filtered through the several ponds where it is mixed with river water and processed naturally. Eventually the facility should be able to treat up to three million gallons per day. 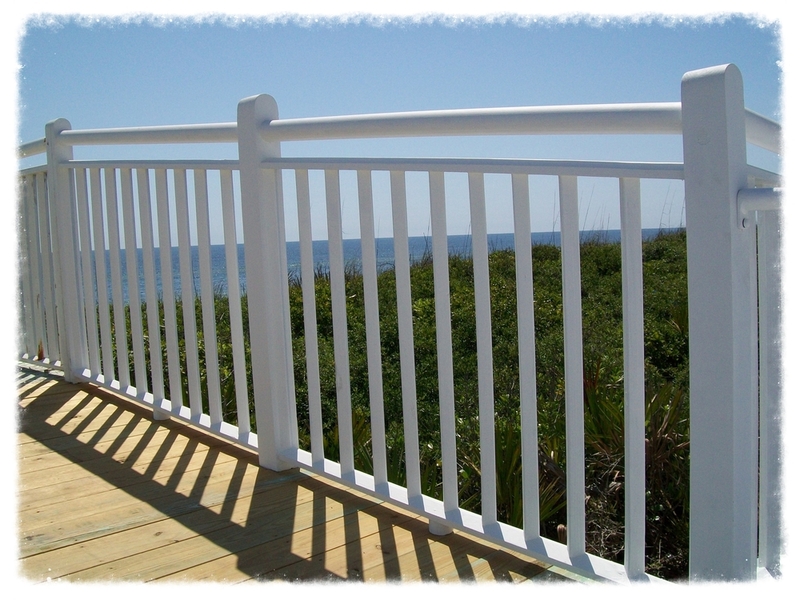 2,800 linear feet of six-foot wide boardwalk with 5,600 linear feet of picket handrail. 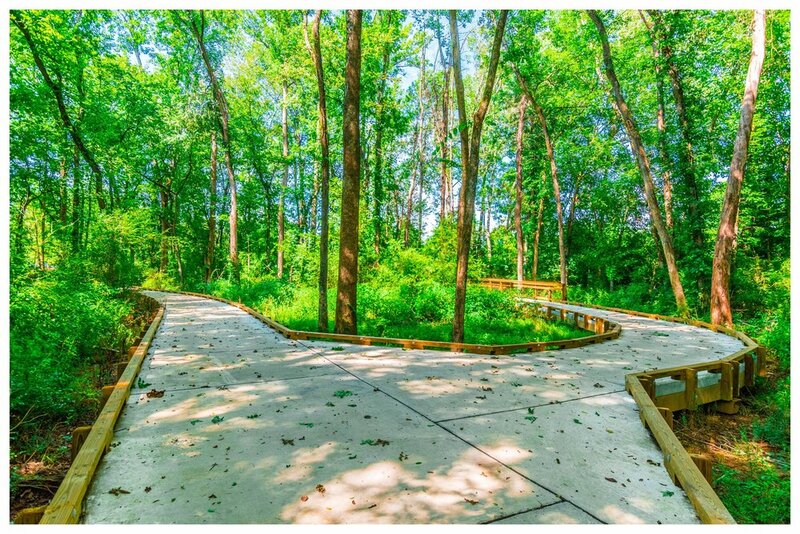 This project was located in a designated wetland area where there was a significant amount of limestone cap rock below grade. We overcame this challenge by using a combination of hydraulic augering and a vibratory hammer to reach the required pile embedment. 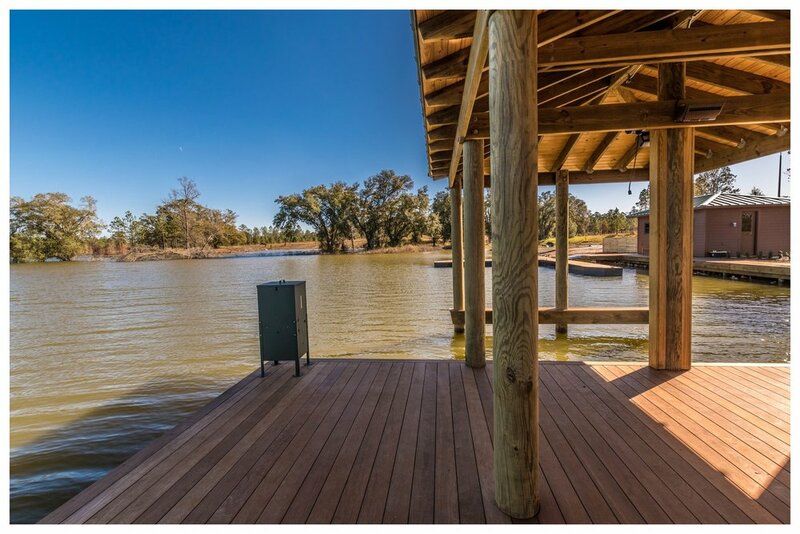 Top-Down construction kept the pile driving equipment out of the wetlands, keeping the existing environment intact. 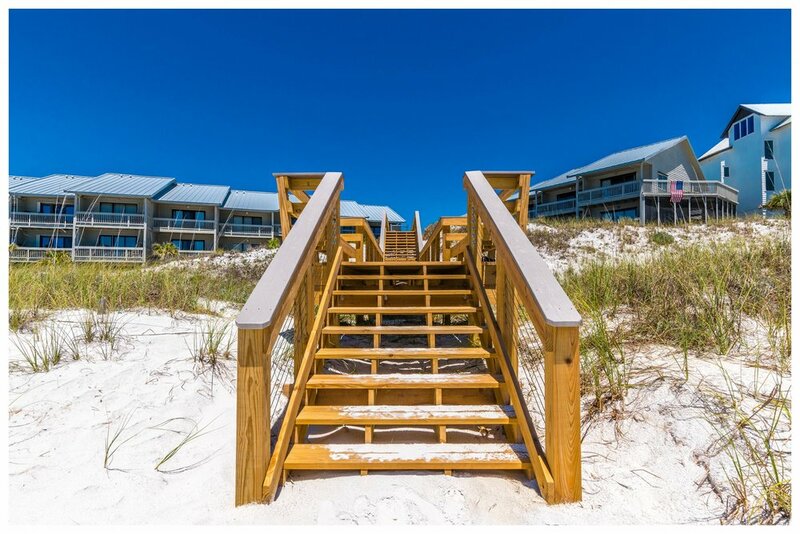 Boardwalk & Beach Access with Staircase. 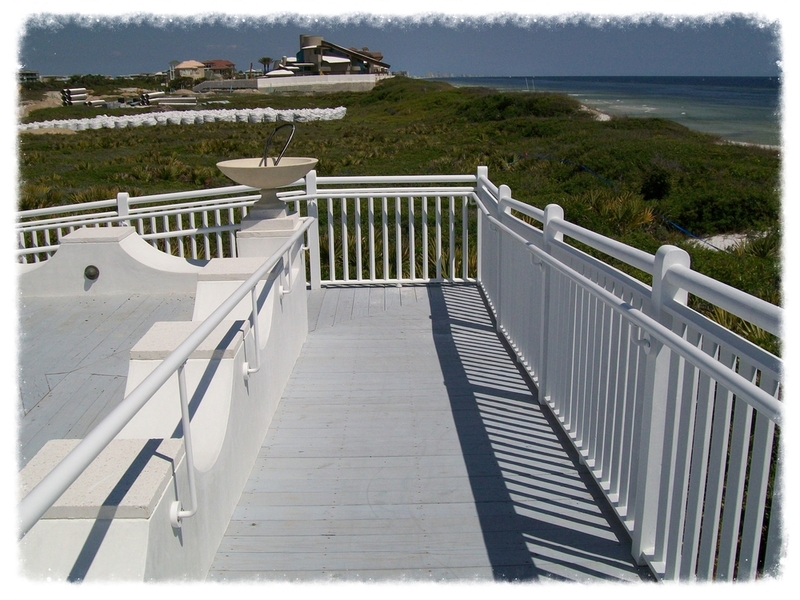 130 Linear feet of 5' wide boardwalk with handrail and beach access. 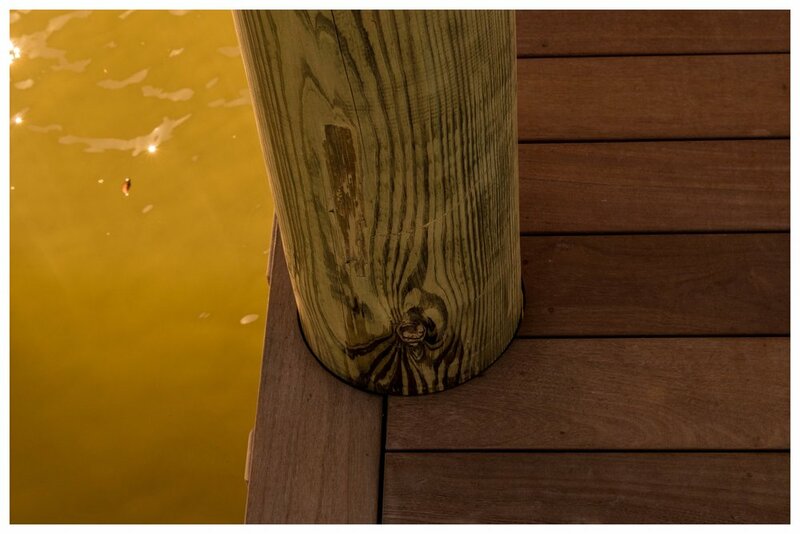 Boardwalk & Boat Dock with Ramp. 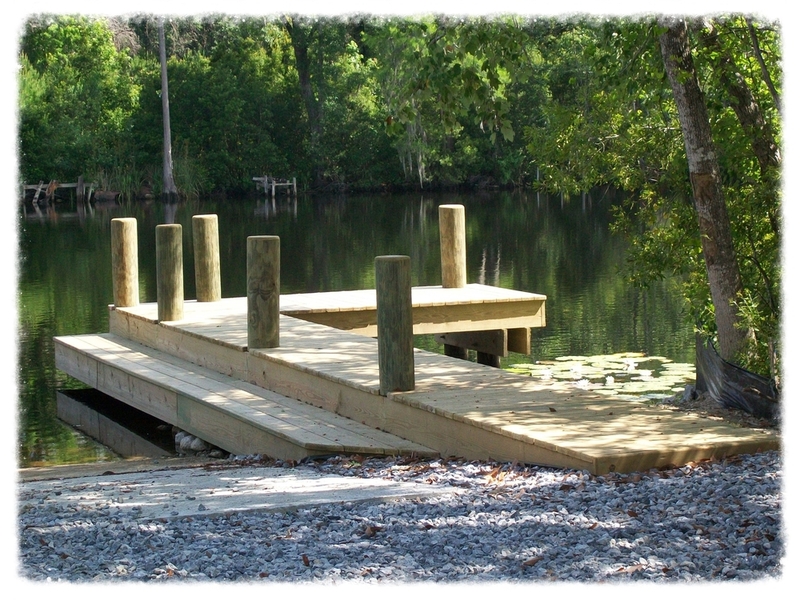 Boat dock, boardwalk and ramp located in the Black Creek area of Freeport, FL. 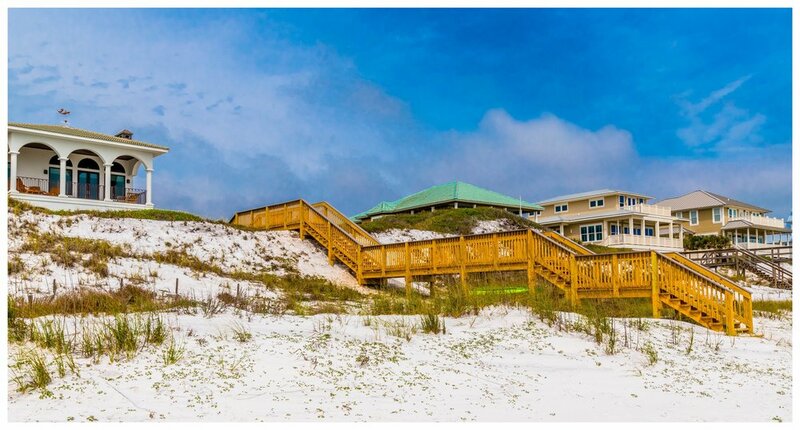 Beach Access & Dune Crossing with Boardwalk. 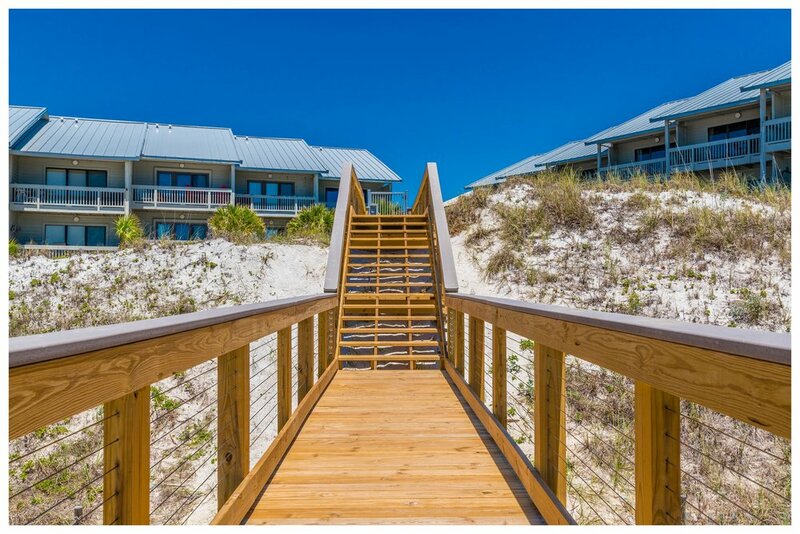 Boardwalk and beach access custom built using top down construction methods in order to lessen environmental impact and to preserve the beautiful white sand dunes and vegetation native to the Emerald Coast of Florida. 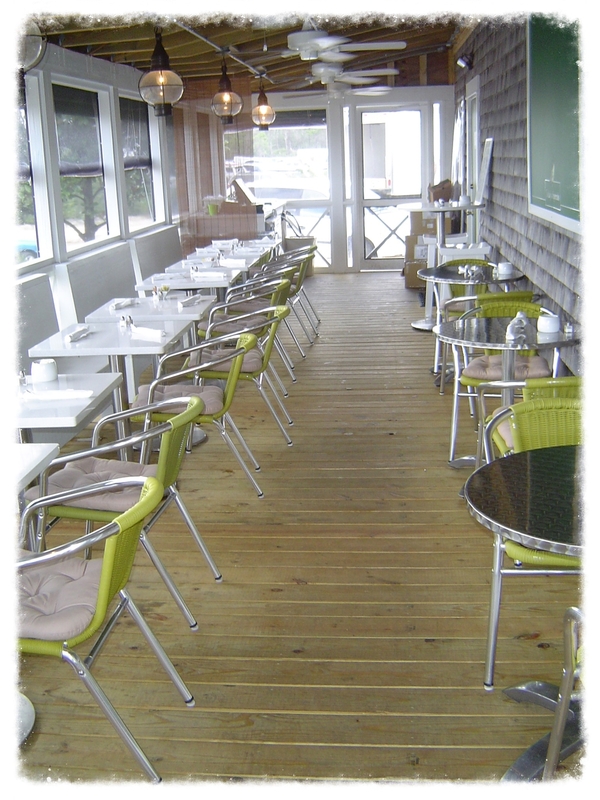 Wooden Deck & Enclosure Remodel. 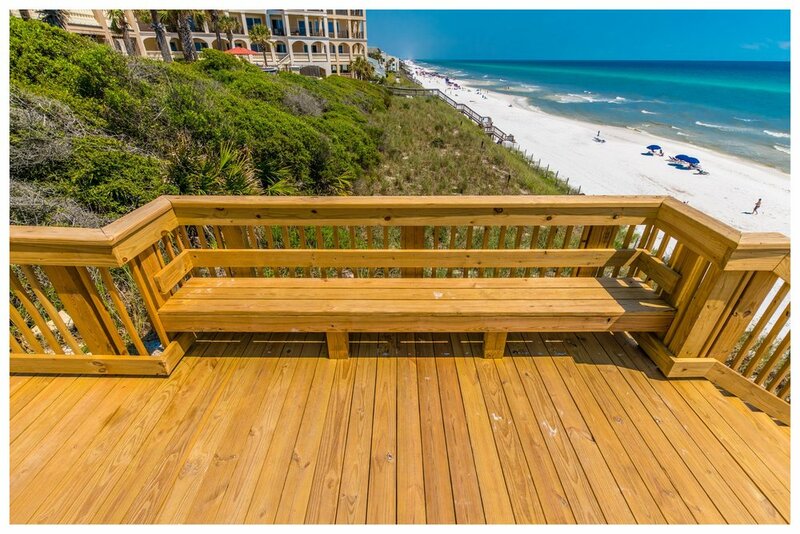 800 SF Deck, enclosure and remodel at the amazing George's at Alys Beach. 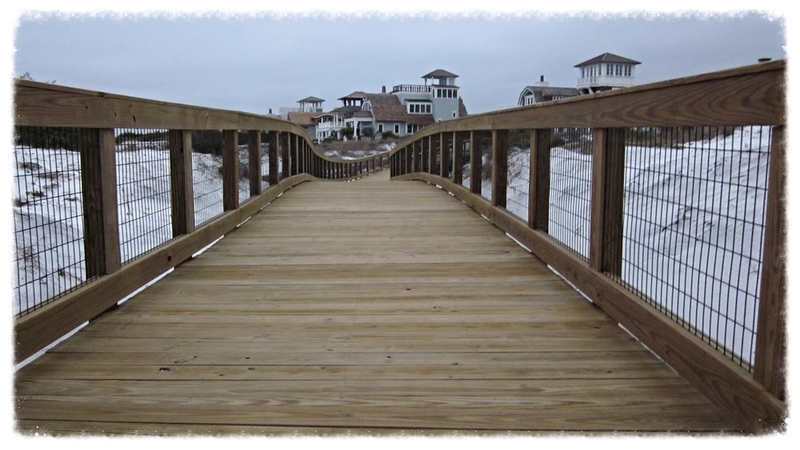 Boardwalk with Handrail & Beach Access. 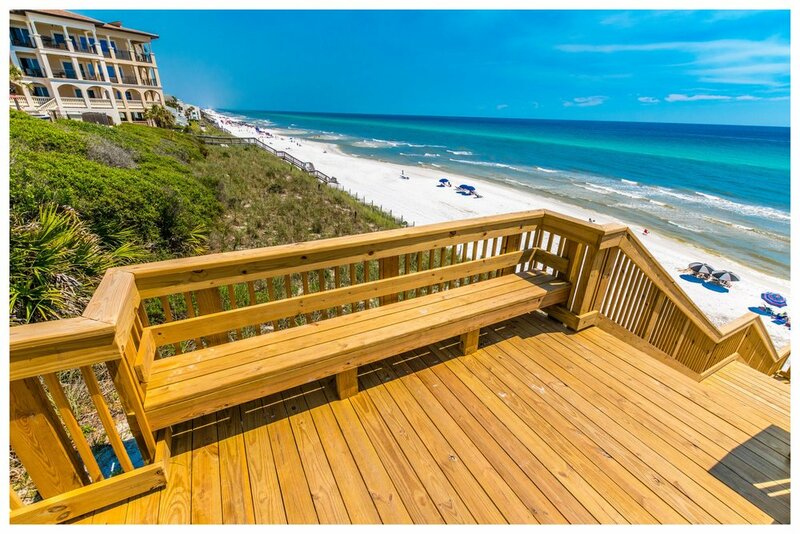 210 LF of 5’ Boardwalk and beach access demo and rebuild on the beautiful white sands of Majestica Beach in Seagrove, FL. 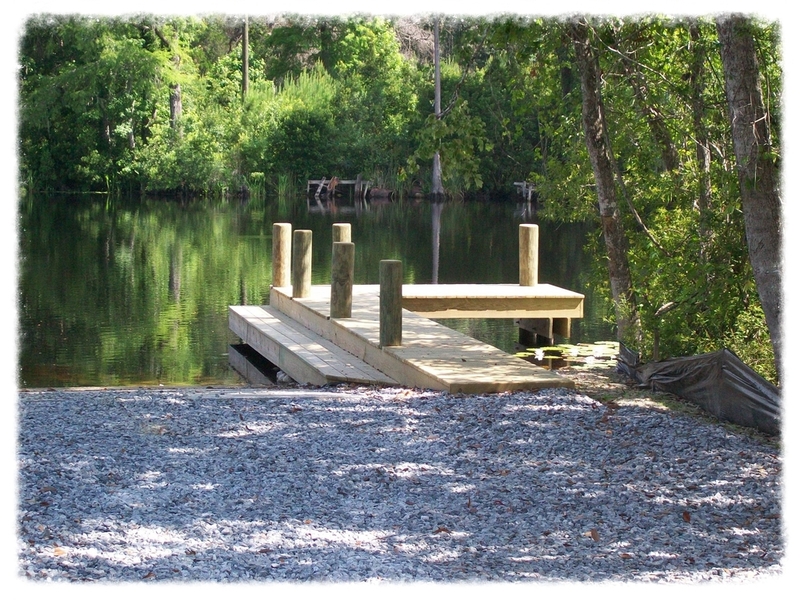 Dock & Boathouse with Retaining Wall. 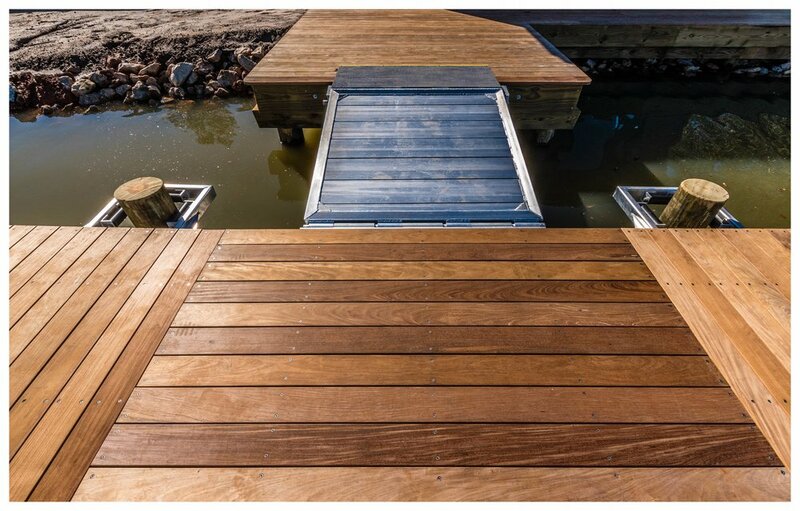 Residential dock and boathouse repairs with 500 LF of 3' tall timber retaining wall. 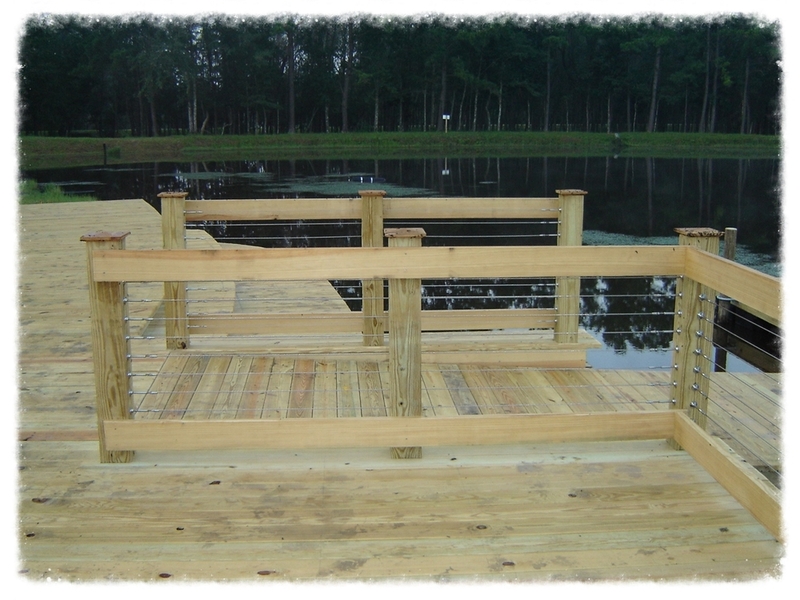 Lake Access Boardwalk with Pergola & Fencing. 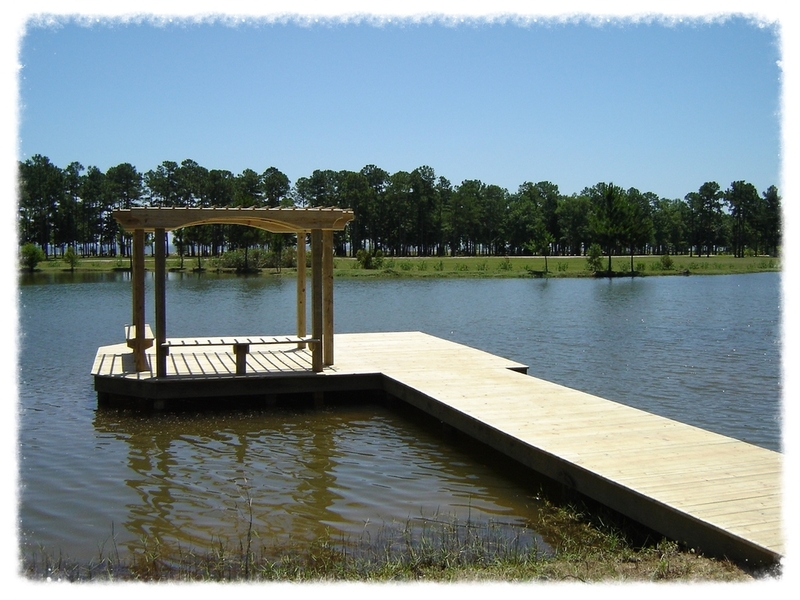 170 LF Vehicular guardrail and 300' x 6' lake access boardwalk with entrance pergola and timber fencing.